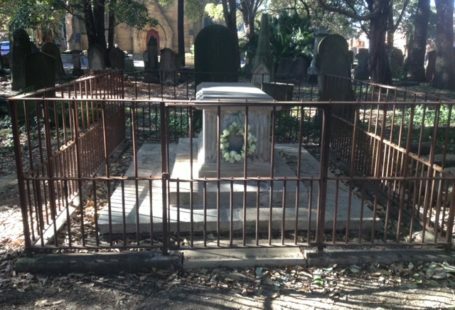 This chapter our my family history is about Charles Farrell of Mullingar, Ireland; Sydney and Port Macquarie, NSW; his wife Charlotte Meredith, the daughter of Frederick Meredith, a steward to the captain aboard the First Fleet, and their son Colonel William Thomas Farrell and his descendants. When my husband, Geoffrey Philip Farrell Rundle attended The King’s School at Parramatta in Sydney in the 1970’s one of his teachers told him that if he had two middle names then one of them was probably a significant family name. Geoff’s father was Philip, so that accounted for one of the names, but the other was most certainly a surname from one of his ancestors. Geoff’s mother Valmae Patterson told him that her mother Sylvia Patterson’s maiden name was Farrell who once lived at Swan Isle in Randwick, and that was about all he knew. 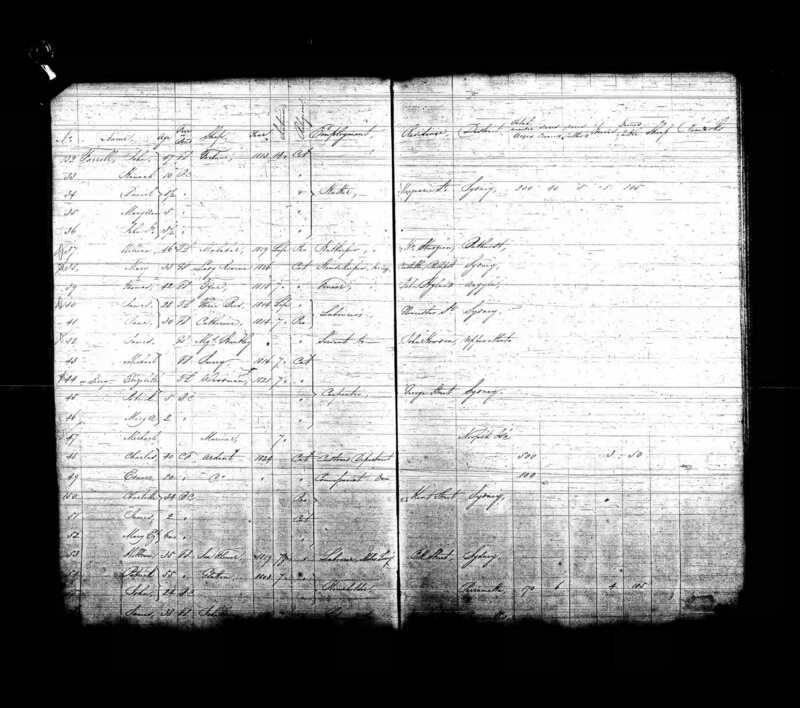 When I started researching the family history these bits of information became important, especially when you are starting off from almost scratch. Sylvia Patterson was the only grandparent that Geoff had ever known, and she died just before we were married. He was able to recall that Sylvia had a sister Ruby; so armed with this information and my new subscription to Ancestry.com in 2011, I began searching for records, with no idea what I would find, or how easy it would be to navigate the online site. I had started the Rundle Family Tree with my elder son Jeremy Rundle’s name because this way it would be an easy task to build our tree and include both sides of the family. Little did I realise how much it was to grow as I fulfilled my goal to try and take all branches of the family back into their countries of origin. Geoff was as fascinated as I was when I found this first record for the Farrell family. He had never heard of Charles M Farrell. 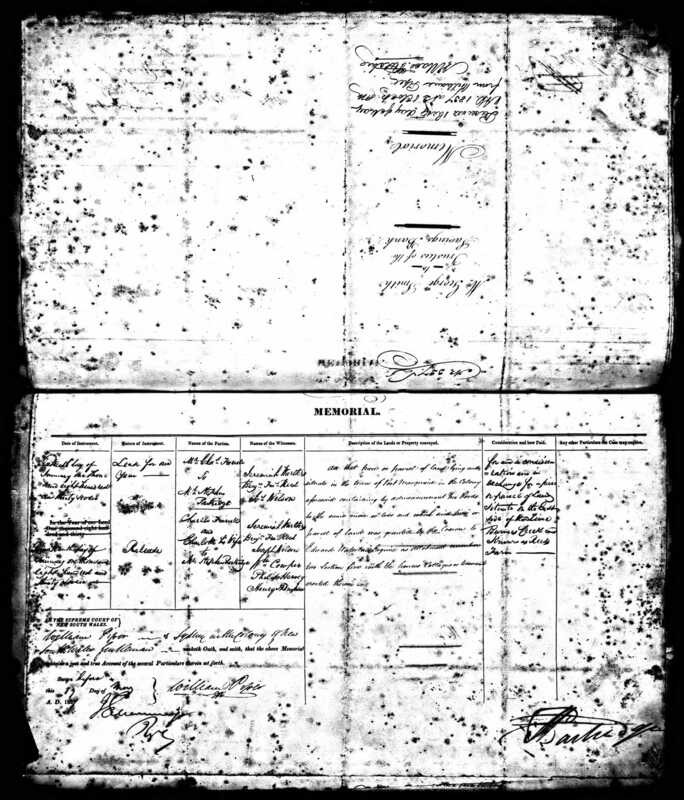 In quick time I found a marriage record for Sylvia Rita Lenor Farrell, 23 and her husband Alfred Walter Patterson, 25, and again, Geoff had never known his grandfather’s Christian names. There was so much wonderful information included on this record which included addresses, place of birth and occupations, Alfred was listed as a school teacher from Young, New South Wales and Sylvia as a typiste of Sydney. 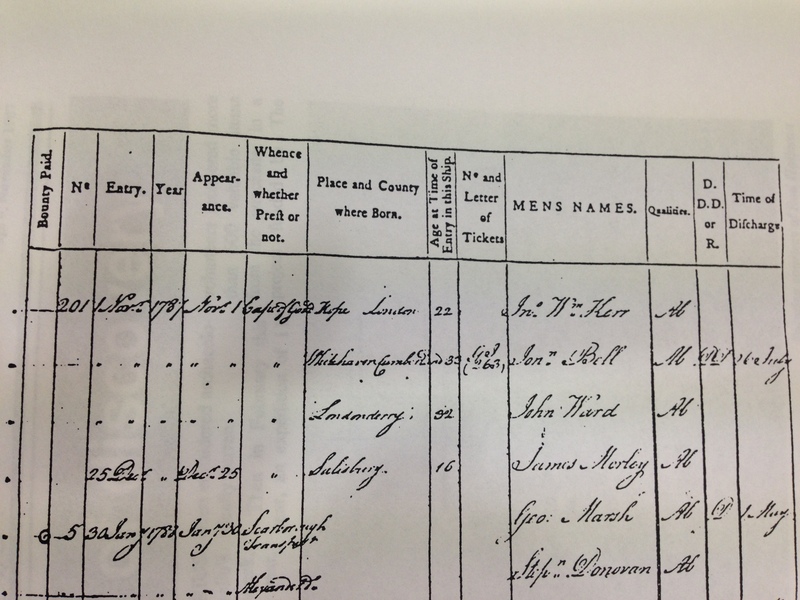 All parents were recorded on the record and it also included their mother’s maiden names and father’s occupations. Alfred Walter Patterson (1890-1942) and Sylvia Rita Lenor Farrell married on 20 December 1915 and they had four children, Lorna Margaret Patterson (1916-2006), Alfred Hughes Patterson (1919-2002), Sylvia Mary Patterson (1925-2000) and Valmae Lenore Patterson (1926-2016). 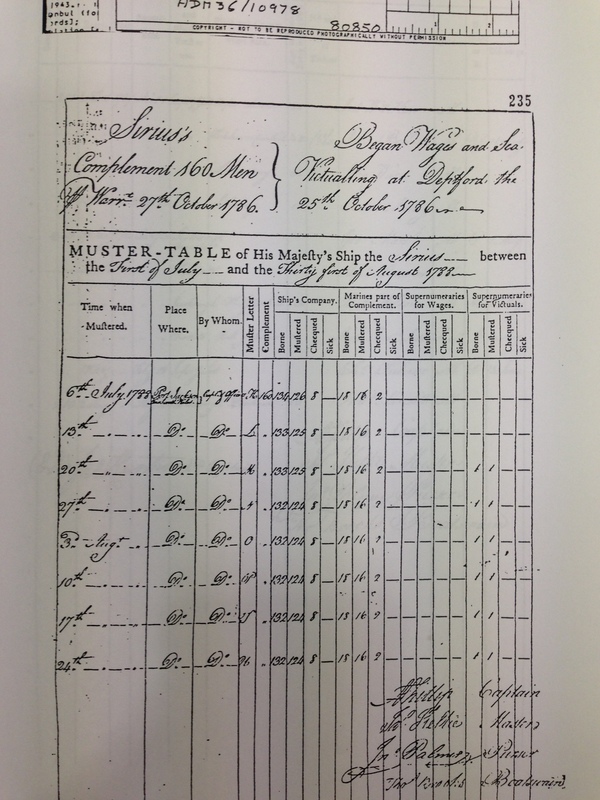 The marriage record for Allen Leslie Lloyd, 28, a fruit merchant from Paddington and Ruby Muriel Farrell, 21 of Kensington also included their parent’s names and occupations, and most interestingly Charles Mitchell Farrell’s occupation was listed as a Eucalyptus Merchant, after previously being listed as a man of independent means. 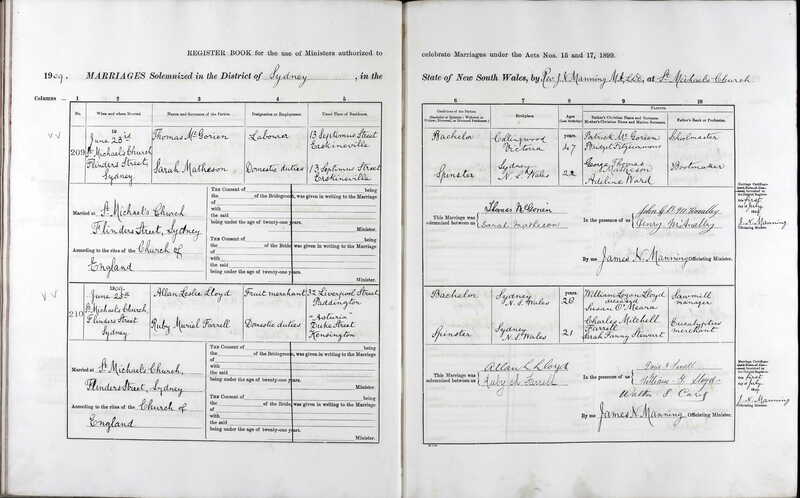 Allan Leslie Lloyd and Ruby Muriel Farrell married on 25 June 1907 and had four children, Gordon Allan Lloyd (1910-1967), Alan Lloyd (1916-), Joyce May Lloyd (1918-) and Bruce Logan Lloyd (1920-1995). 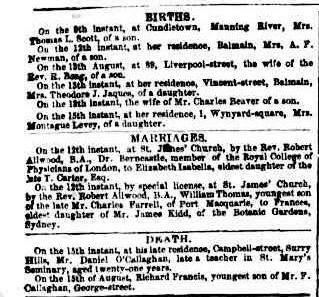 Ruby Farrell, Sylvia’s sister’s marriage notice in the Sydney Morning Herald confirmed the relationship of the two sisters as well the naming their grandfather, Colonel William Thomas Farrell and his home as Swan Isle, Randwick. This was the first time I saw the home mentioned in newspaper documents which supported Geoff’s mother’s statements that her mother had lived in Swan Isle, Randwick. 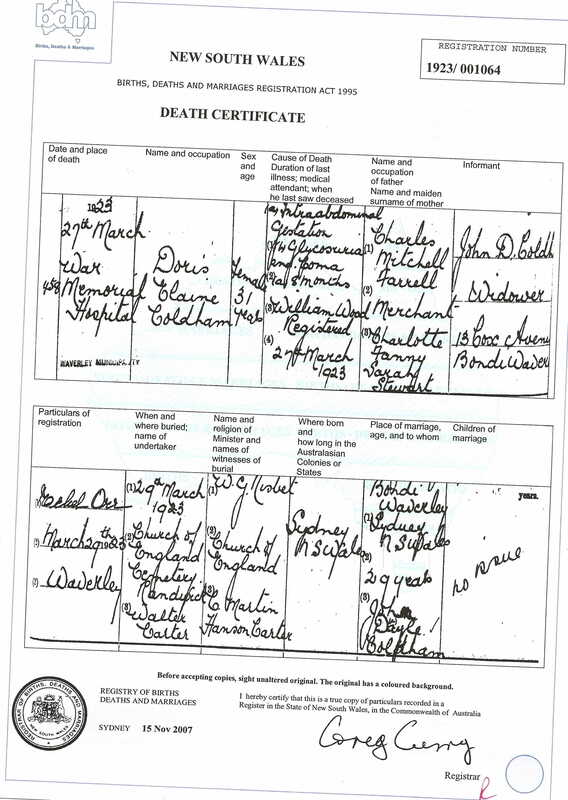 While I was collecting the marriage records for Sylvia and Ruby Farrell I connected with another Farrell researcher, Elaine Coldham, who also had an extensive tree on ancestry.com. 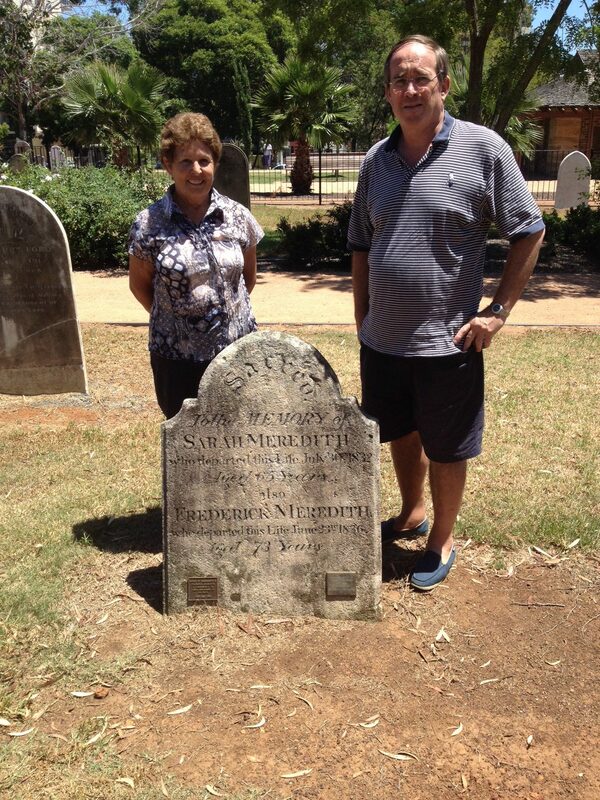 Elaine is a very experienced researcher and I have enjoyed meeting with her at various libraries, joining her on adventures when we attended the Farrell Family reunion at Garden Island and visiting Liverpool Cemetery to find Frederick Meredith’s grave. We also discovered that we both shared a love of the game of golf. During our early correspondence Elaine told me the story about her grandmother, Doris Elaine Farrell, who was also a sister of Sylvia Patterson. Elaine explained to me that Doris had a relationship with Roy Gillett Sedgewick, which resulted in her grandmother giving birth to a son Stewart Sedgewick on 23 April 1916. There had been a terrible falling out with Doris’ father Charles Mitchell Farrell during this time and poor Doris had been banished from the family home. The tragedy of the situation was that Roy Sedgewick had been unwilling to marry Doris Farrell and had then apparently shot through after the discovery that Doris was pregnant with his child. I could see by the dates that this was at exactly the same timeframe as her sister Sylvia Farrell’s engagement and marriage to Alfred Walter Patterson. I also understand that Doris had a very close relationship with her sister Ruby, and it was probable that Ruby had supported and helped Doris during this very distressing time. Doris’s mother Cissie Farrell was terribly conflicted during this time, coping with a hostile husband and the fact that she was wanting to support and help her daughter Doris during her pregnancy. Elaine Coldham gave me the impression that the newly married Sylvia Patterson had found it easier to just walk away from the difficulties in the Farrell household. Five years later Doris met and married John Dayle Coldham who must have been a most wonderful man, willing to take on an unmarried mother Doris Farrell and her young son Stewart and was willing to give the young boy, Stewart Sedgewick, his surname. Thus it came to be that Stewart Sedgewick was adopted by his step father and his name was changed to Stewart Sedgewick Coldham. John Dayle Coldham and Doris Elaine Farrell married in 1921, they had one son Stewart Sedgewick Coldham (1916-1986). 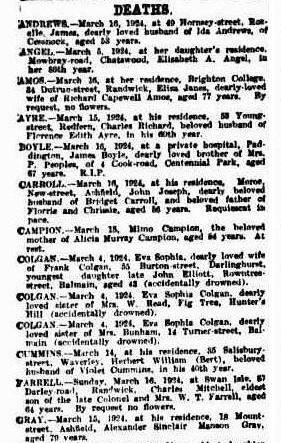 Tragedy struck the family again in on 27 March 1923 when Doris died, aged 32, from an intra-abdominal pregnancy of eight month duration, leaving her bereaved husband John to bring up her little son Stewart Sedgewick Coldham. Once again Ruby Lloyd nee Farrell extended her kindness to the Coldhams and Stewart Sedgewich Coldham became very much a part of the Lloyd family whilst he was growing up. Elaine was also able to tell me that Cissie Farrell was also very much a part of Stewart’s life growing up. Cissie’s husband Charles Mitchell Farrell died in 1924. His death released Cissie from her divided loyalties put in place by her husband’s unforgiving stand regarding his middle daughter Doris. It was apparent that the Farrell’s marriage had been under terrible strain due to Charles’ continuing unemployment issues, his difficult temperament and his estrangement from his daughter Doris, to the point that Charles and Cissie gave two addresses, Winslow and Bondi on the death notice for their daughter Doris Coldham. 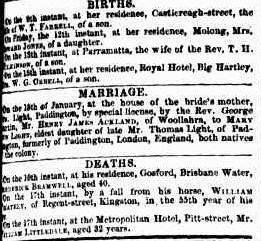 Charles Mitchell Farrell died on 16 March 1924 at Randwick, New South Wales and there was absolutely no mention of his wife Cissie on his death notice placed in the Sydney Morning Herald newspaper. However, his address was listed on an probated death index as Wingello, which is a tiny town in the Southern Highlands of New South Wales between Bundanoon and Marulan. It occurred to me that this address was not dissimilar to the curious address of Winslow given on his daughter Doris’ death notice. 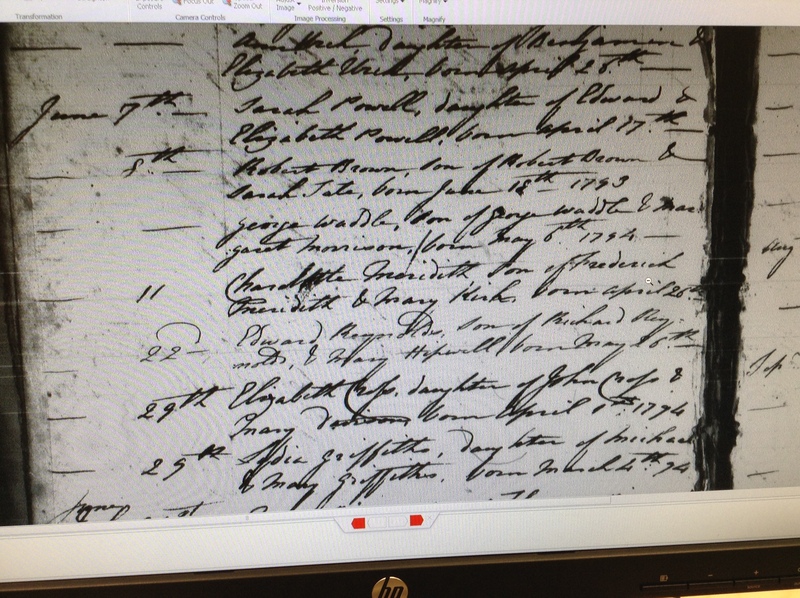 I think there may have been a transcription or translation error printed in the newspaper, naming Charles Mitchell Farrell’s address as Winslow instead of Wingello. 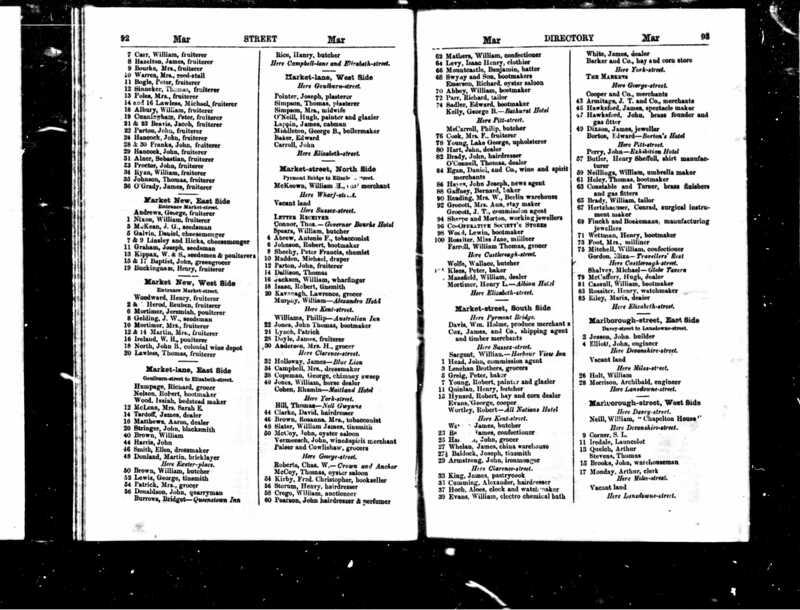 This index lists the administrators of Charles Mitchell Farrell’s will as Robert M Farrell and Lydia Farrell and clearly gives his address as Wingello. 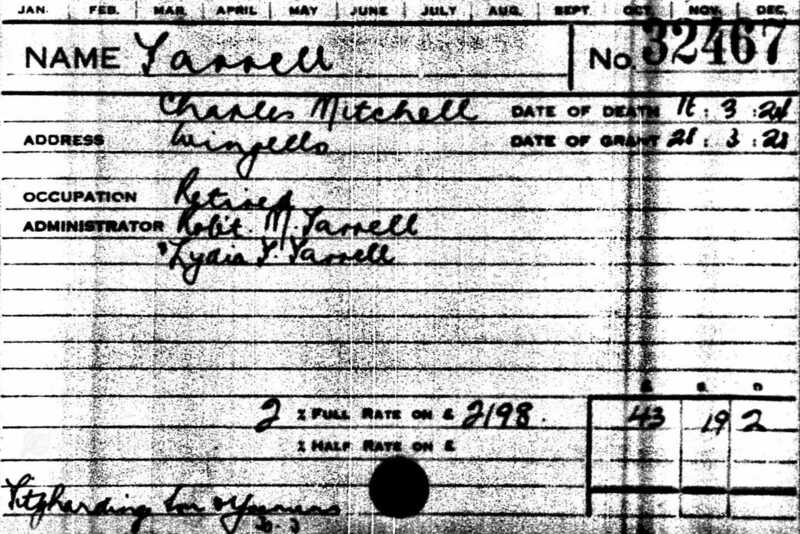 I get the distinct feeling that the Farrell family had closed ranks upon Cissie and it does explain to a certain degree why Cissie is not buried with her husband at Randwick Cemetery nor mentioned on his grave. 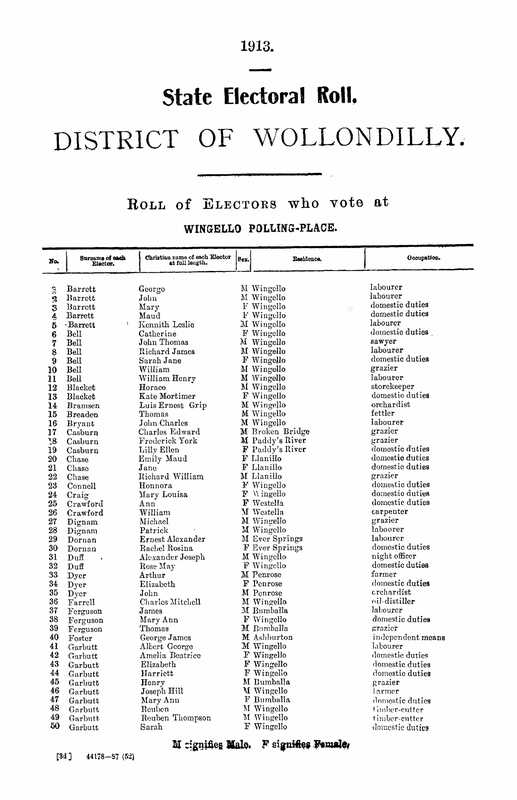 This Electoral Roll for Charles Farrell does show his involvement with his brother William Tighe Farrell in the Eucalpytus Oil business that was distilled from the Farrell home Swan Isle, in Randwick. According to Valmae Rundle, her great grandmother Cissy Farrell had a massive stroke in the late 1920’s and was paralysed down one side for the rest of her life and had to walk with a stick. Val claimed her only memory of her grandmother was one of an invalid who had never properly recovered from the effects of the stroke. It was not all a bed of roses for Sylvia Patterson either, whose husband was investigated by the police for embezzlement in his business affairs in 1941 and rather than face arrest and court, Alfred Patterson committed suicide at the family home at 34 Wakeford Road, Strathfield by putting his head into an unlit gas oven. Geoff’s mother always told the family that her father had died of heart failure – well everyone does. However, just before Val Rundle’s death in 2016, she told me she needed to tell me something she had hidden all her life, that she had been the one who had returned home from school and found her father dead in the kitchen. It does go a small way to explain the dysfunction within Geoff’s family. It was sad to hear her remember the death of her father, the panic that had erupted in the household after her mother Sylvia’s return and Val’s enduring vision of her father laid out on the family settee in the sitting room whilst a crowd of people, doctors and police were milling around asking questions. 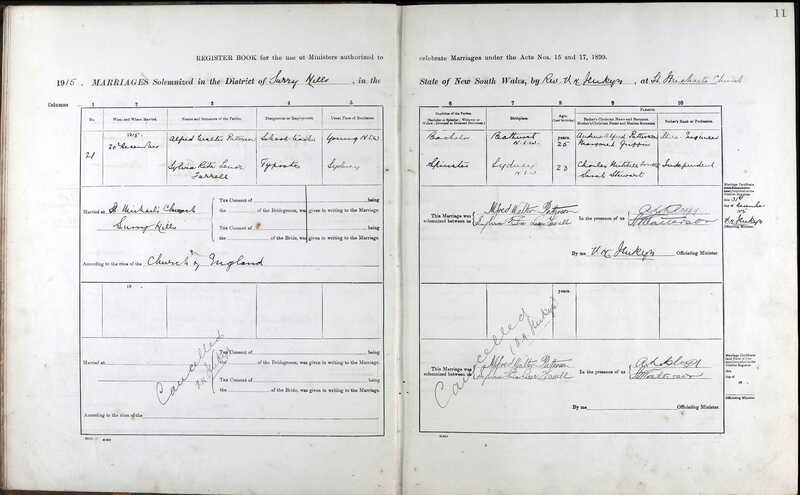 It didn’t take me long to find the marriage record for Geoff’s great grandparents, Charles and Charlotte Farrell and importantly, this record gave Charlotte’s maiden name of Stewart. Funnily enough one of Geoff’s first cousins is named Stuart Milne, his mother Aunt Sylvia “Bubbles” Milne was an elder sister of Valmae Rundle, Geoff’s mother. I wondered whether he was named in Charlotte’s honour, and that the spelling was just a quirky mistake. 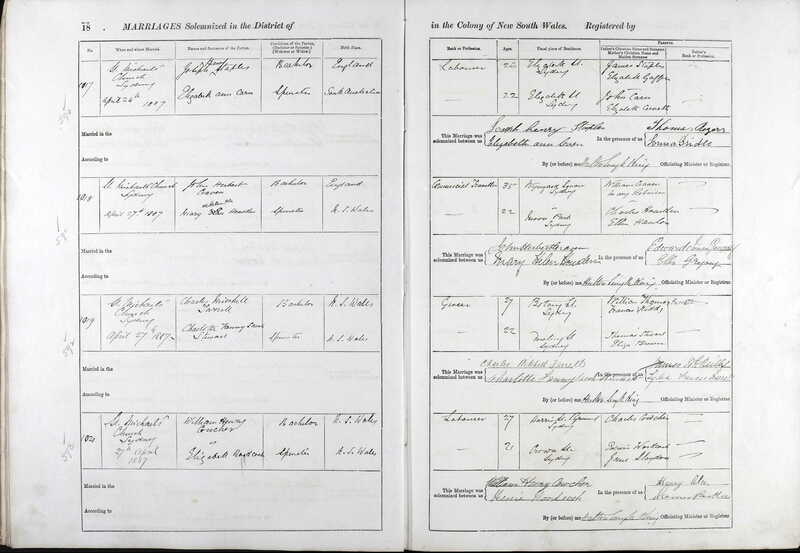 It was wonderful to collect this record and see that Charles Mitchell Farrell had given his occupation as a grocer, and again all the parents were listed, including the maiden names of the mother’s of the bride and groom. 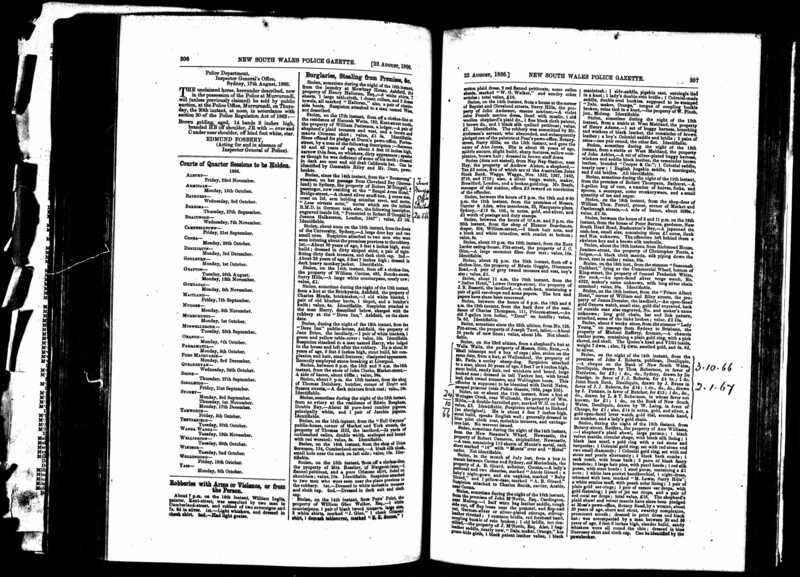 At about this time I had discovered the most amazing research tool, Trove Digitised Newspapers, an Australian National Library online old newspaper service. It has been the source of so much family information, particularly when you don’t have access to old photograph albums or scrapbooks; these newspapers have become such an interesting and incredible boon to the family historian. At the press of a button a long forgotten article will appear, and it can be clipped and saved to the home computer at the press of another button. Each newspaper may change in style and font, however, capturing and reproducing these articles is fascinating and rewarding. 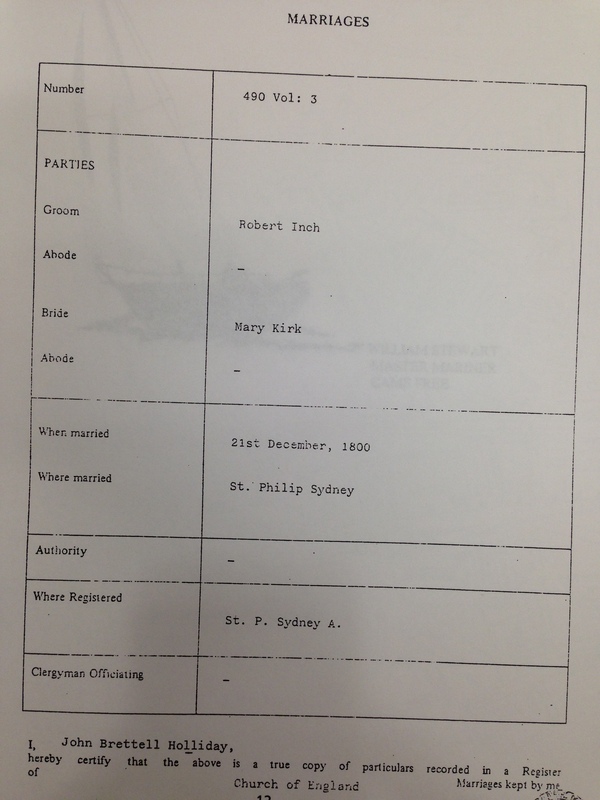 The Farrell’s marriage was held at St Michael’s Church, Botany Street, Surry Hills and their marriage announcement gave so much information about their family. I could see the groom’s father listed as W.T. 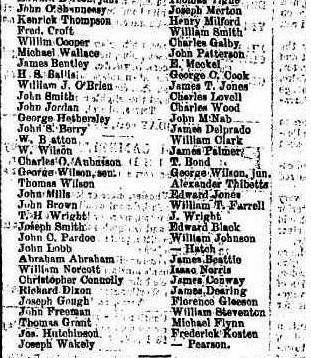 Farrell of Madron, Moore Park and the bridge’s father listed as Thos. Stewart, also of Moore Park. It would seem that the bride and groom had known each other as neighbours. 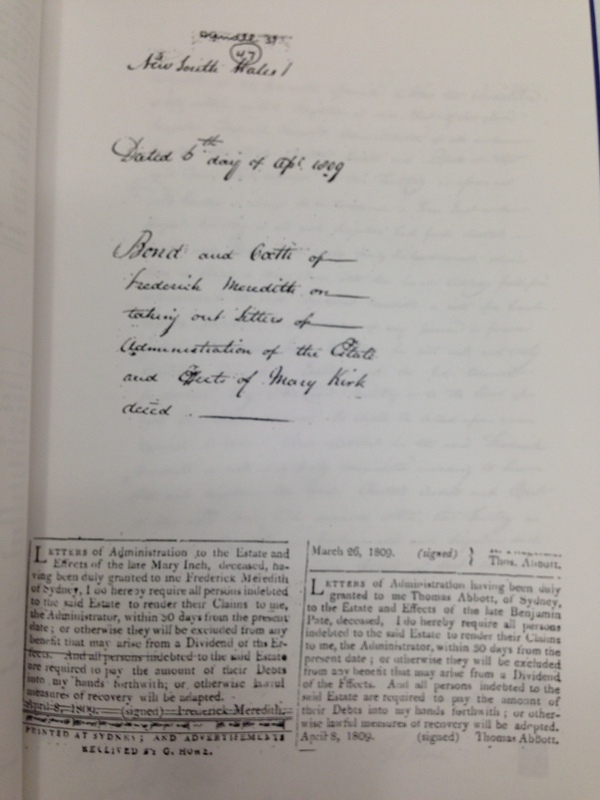 Although the image is blurred, it is still quite readable, and a precious document for the family history. It was also wonderful to see that Sarah or Charlotte F S Stewart had the nickname Cissie. 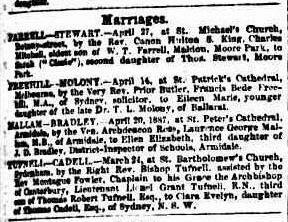 Charles Mitchell Farrell and Charlotte Fanny Sarah Stewart married on 27 April 1887 at St Michael’s Church, Surry Hills and they had four children, Ruby Muriel Farrell (1887-1979), Gordon Charles Farrell (1889-1891), Doris Elaine Farrell (1890-1923) and Sylvia Rita Lenor Farrell (1893-1978). It was during my searches for family notices for Charles Mitchell Farrell that I found some bankruptcy orders and this was made all the more clearer that I was finding the correct records by the address given in the newspaper clipping, one newspaper clipping showed that Charles was a grocer. 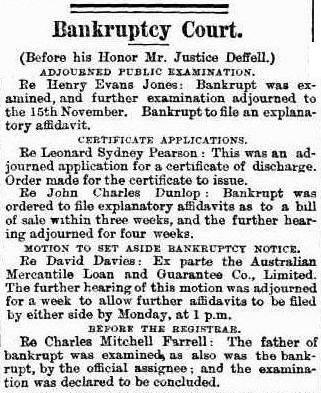 It must have been a difficult time for the family and to make their married life even worse this bankruptcy occurred not long after Charles and Cissy’s marriage in 1887. Then tragedy struck the couple when their two-year-old son, Gordon died in 1891. 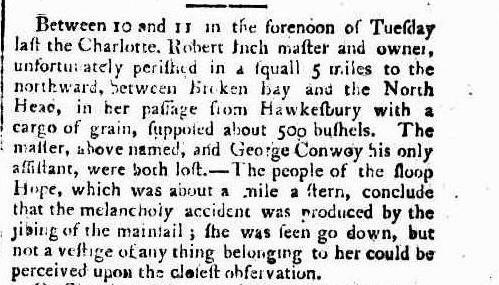 It was this newspaper clipping that led me on a search for Gordon Charles Farrell’s grave, wondering if there were more Farrells buried at Long Bay Cemetery. It turns out that Long Bay Cemetery was later re-named Randwick Cemetery. 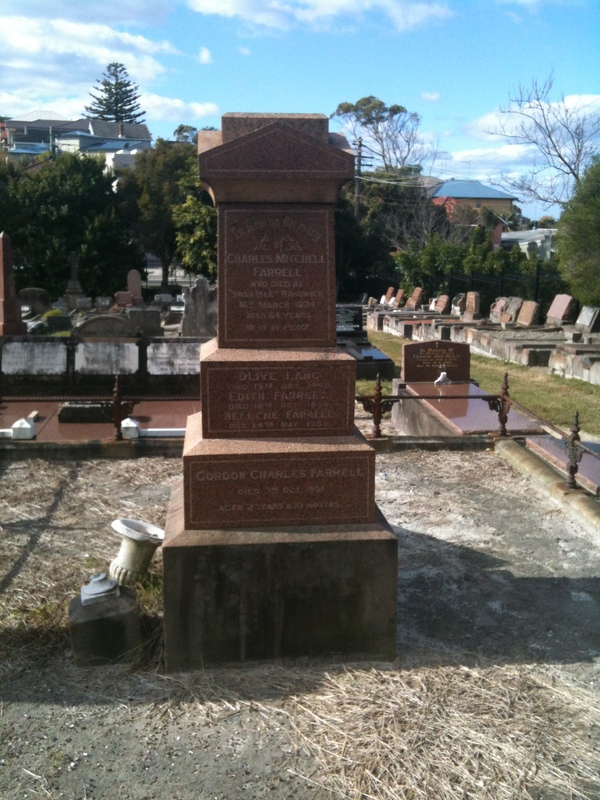 It is not difficult to search for the records at Randwick Library and get directions to the Farrell grave and an half an hour later, Geoff and I had arrived at Randwick Cemetery and located a magnificent monument grave, albeit fallen, that had the names of many members of the Farrell family inscribed in gold lettering upon it. It included Gordon Charles Farrell and his father Charles Mitchell Farrell, and Charles’ parents William Thomas Farrell and Frances Farrell, four daughters of the Farrells, namely Olive, Edith, Helene and Lydia and sons William Tighe and Robert Meredith Farrell and his wife Thyrza Vera. Not only was I gathering information about the family I also had many death dates and other members of the family to find and confirm. I noticed that Martha Kidd was listed on the grave and from prior research I realised that she was Frances’ sister. It was helpful to find the name Kidd on the grave, to confirm my research. 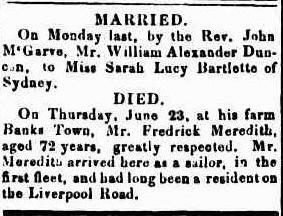 Earlier I had picked up a death notice from a newspaper stating that Mrs. W. T. Farrell was the daughter of James Kidd. 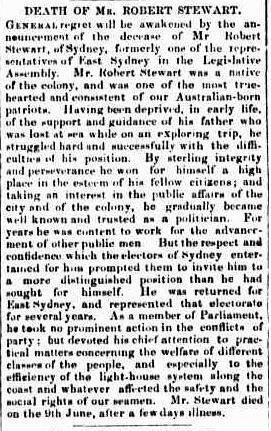 James was listed as a native of Edinburgh, and Superintendent of the Botanic Gardens in Sydney. 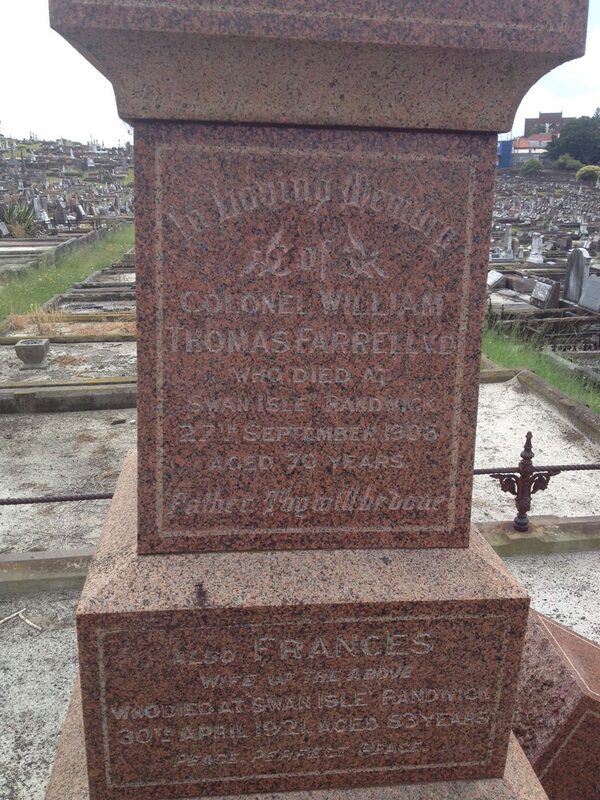 My main curiosity was regarding Charles Mitchell Farrell’s wife Cissie, and why her name didn’t appear on the gravestone, when there was plenty of room. 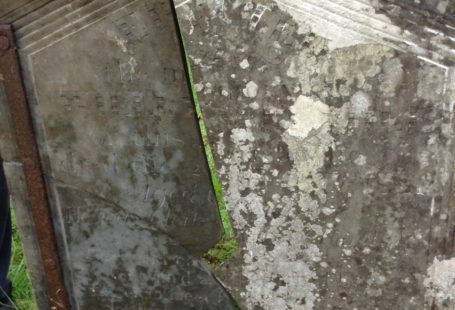 In other family chapters I have written the story James Kidd of Fifeshire, Scotland and Finding James Kidd’s Grave at Camperdown Cemetery. These are wonderful story about James Kidd’s trial in Edinburgh for forgery of five one pound notes, his life sentence as a convict to the Penal Colony of New South Wales, and his rise to fame as Superintendent of the Botanic Gardens in Sydney, earlier as Caretaker of the Botanic Gardens he was the first person to live in a house in the Garden’s with his family. Gravestone of Charles Mitchell Farrell, died 16 March 1924 and his son Gordon Charles Farrell died 12 October 1891, also three daughters of Colonel Farrell; Olive, Edith and Helene Farrell. 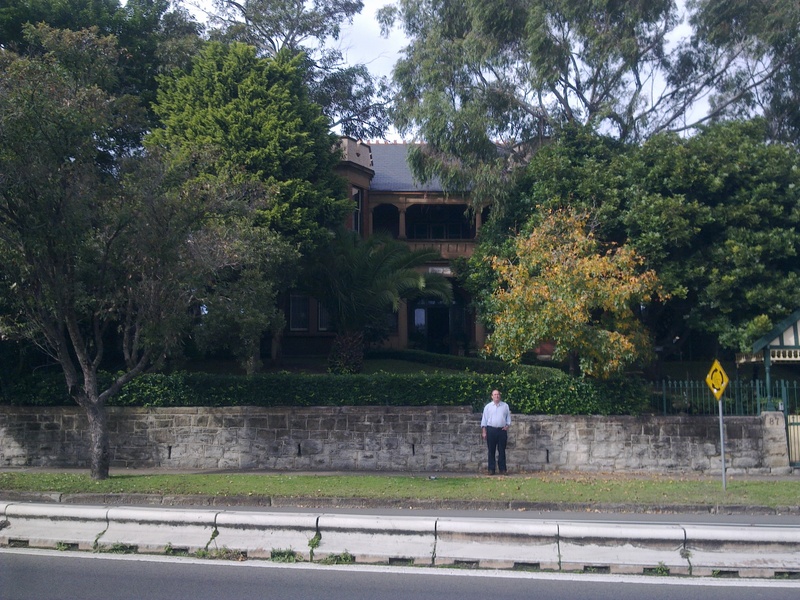 It was interesting to see how many of Colonel Farrell’s children died at Swan Isle, Randwick, the Colonel’s magnificent home overlooking Centennial Park. Family legend has it that the Colonel took the salute on his balcony from his Regiment in 1905. 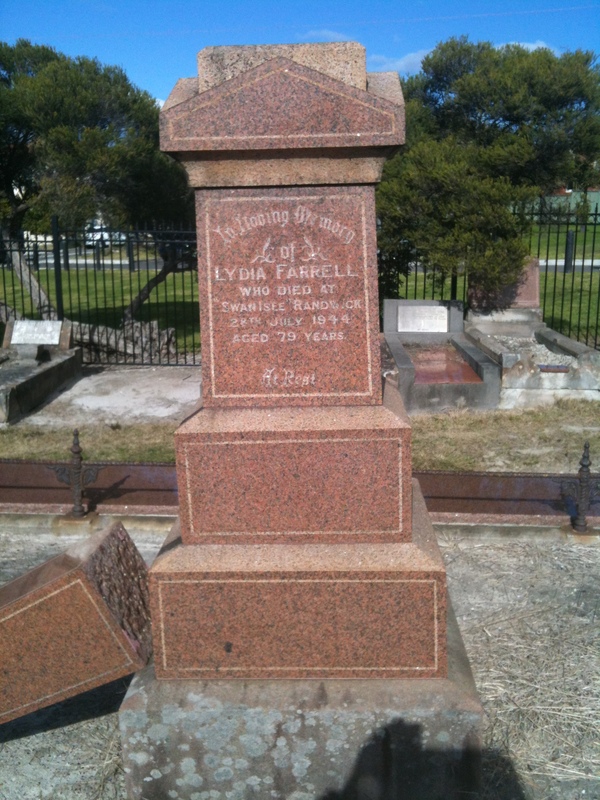 Gravestone showing Lydia Farrell, daughter of Col. W. T. Farrell, died 28 July 1944, aged 79 years. 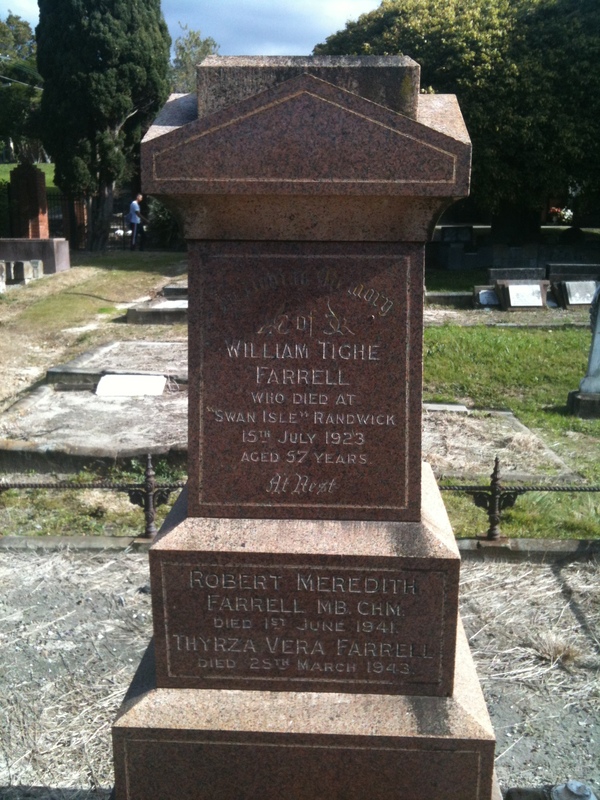 Gravestone of William Tighe Farrell, died 15 July 1923, aged 57 years, also his brother Robert Meredith Farrell, died 1 June 1941 and his wife Thyrza Vera Farrell, died 25 March 1943. 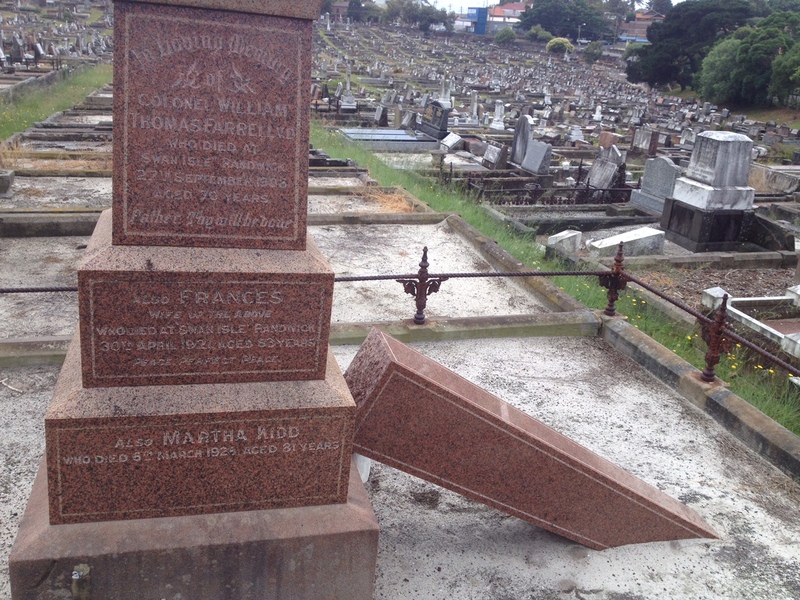 Fallen obelisk of the Farrell grave at Randwick Cemetery. 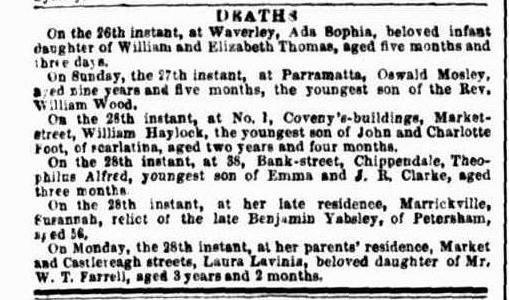 Listing Martha Kidd who died 6 March 1925 aged 81 years, helped me confirm Frances’ relationship to Martha, as a sister, and also that the newspaper announcement was correct. 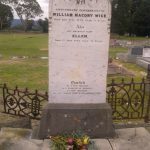 William Thomas Farrell (1825-1906) and Frances Kidd (1837-1921) married at St James Church, Sydney on 12 August 1858 and had ten children, Charles Mitchell Farrell (1859-1924), Laura Lavinia Farrell (1861-1864), Frederick W Farrell (1863-1863), William Tighe Farrell (1866-1923), Lydia Frances Farrell (1867-1944), Beatrice Augustine Farrell (1870-1871), Robert Meredith Farrell (1872-1941), Robina Olive Farrell (1874-1945), Helene Augusta Farrell (1875-1956) and Edith Willis Farrell (1877-1950). 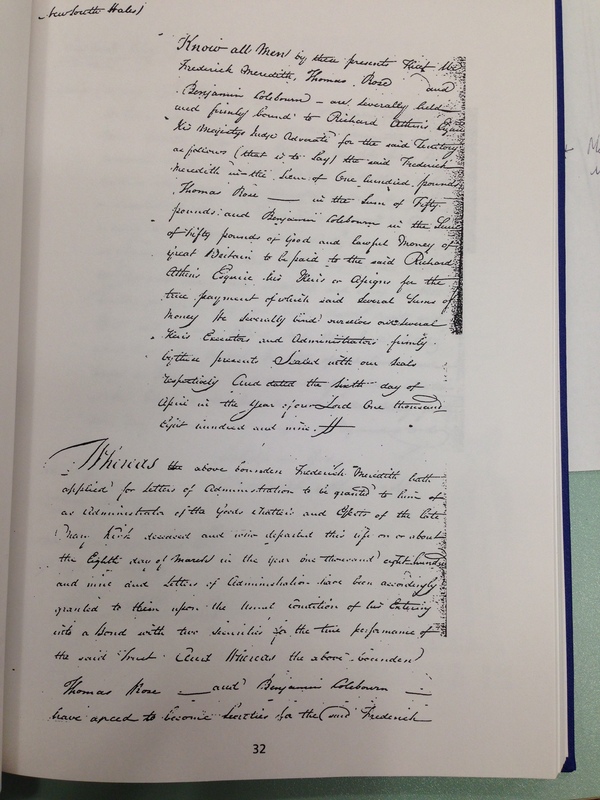 The probated will of Colonel Farrell explained a bit of the dysfunction that happened in the household at Swan Isle. 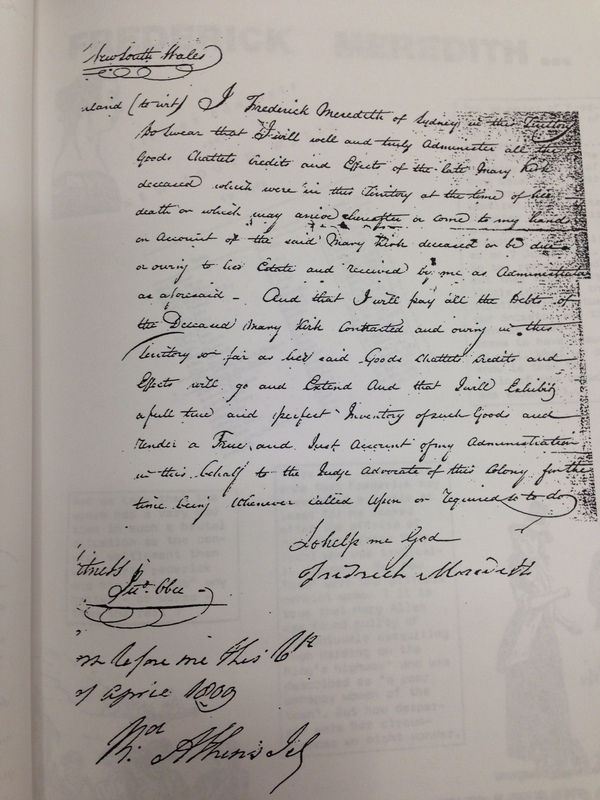 Colonel Farrell had obviously amassed a small fortune and he was determined to orchestrate a “rule from the grave mentality” by writing a complex will whereby I could see that his relationship with his son Charles Mitchell Farrell remained strained at the writing of the will, particularly his son’s inability to provide for his children, and the inclusion of a note insisting on his grandchildren’s education to be looked after, with quarterly payments. 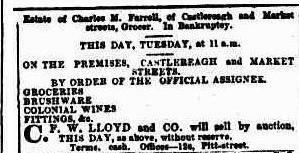 As I collected more records I came to see that Charles M Farrell had taken over his father’s business, that had obviously been very successful, and in a few short years, he was bankrupted. I am sure that this ruined their relationship, and in those days, the stain of bankruptcy was notorious, and it was probable that Charles found it difficult to ever work again at the same level. Charles M Farrell and his wife Cissy Stewart had four children, the three surviving daughters being Ruby, Sylvia and Doris. Ruby married at St Michael’s Church in 1909 at the age of twenty-two and Alfred Patterson and Sylvia Farrell married in the same church in January 1916, and in November of that same year Sylvia gave birth to her first child, Lorna Margaret. Alfred and Sylvia had three other children, Alfred Hughes “Bill”, Sylvia “Bubbles” and Valmae Lenore. 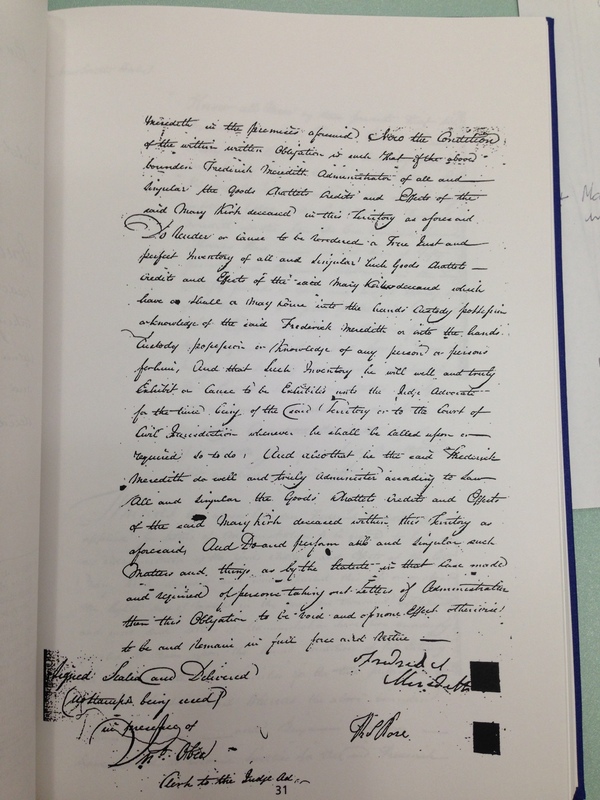 The fine print of the document reads, “Resulting from burns after accidentally coming into contact with a gas flame”, one of the doctors who signed the inquest result was William’s brother Dr Robert Farrell. Interestingly it would seem he died in the backyard of the family home in Randwick. 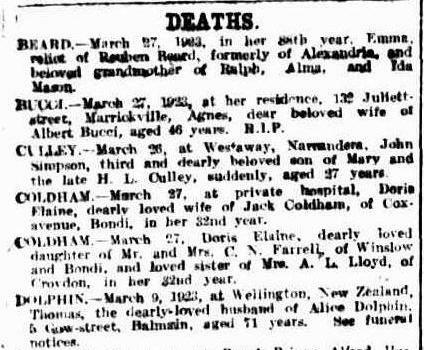 Robert Meredith Farrell (1872-1941) and Thyrza Vera Leahy (1887-1943) married on 18 February 1914 and they had one daughter Kathleen Ann Farrell (1916-). 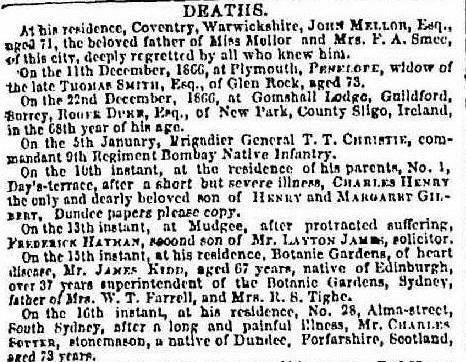 William Thomas Farrell was a diligent father, and when tragedy struck the family, he made sure that notices were placed in the newspapers in a most poignant mannet, whereby he counted each babies death in years, months and even days. 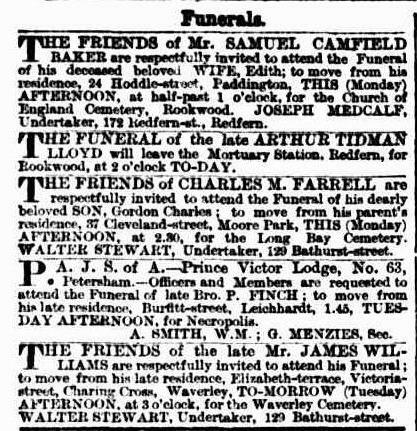 It must have been such sad time for the family, and it wasn’t until 1867 with the birth of William Tighe Farrell that another of their children survived to adulthood, apart from their first born, Charles Mitchell Farrell. Having now done research in many branches of the family I am now very much aware that the early 1860’s in New South Wales and Victoria marked one of the worst diphtheria outbreaks in early Colonial history. This was the time of great population expansion in Australia, due mainly to the gold rushes in both New South Wales and Victoria and areas of densely populated areas were the worst hit, with diseases spreading very quickly and unremittingly. 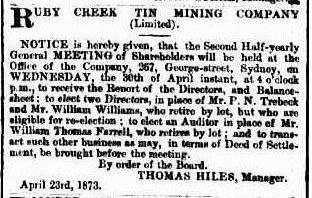 These two notices placed in the Sydney Morning Herald was the first time that I could place William Farrell in Sydney, he was about 24 years of age and had moved from his birth place of Port Macquarie, possibly seeking more business opportunities than those afforded to him in a small country town. William came from a large family, and he probably realised that as a younger son, there were only so many sons that could be gainfully employed in his father’s hotel. 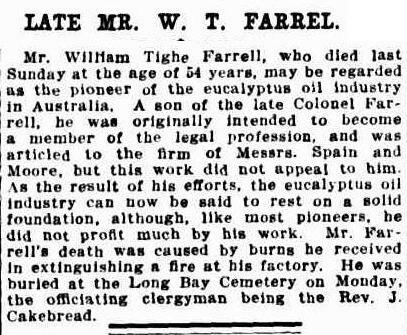 Wisely William Farrell was taking over an established business in Bathurst Street, and at this stage in Sydney there were many families still living in the city area and his business venture obviously proved most successful because William became a wealthy man who was able to employ staff to help him in the shop. This was one of two shops that William would own during his grocery career. Another was established on the corner of Market and Castlereagh Streets and it must be noted that this spot was exactly the same corner that the very successful David Jones Department Stores are still located today. David Jones, also started their life as a grocery shop, but it was originally located on the corner of Barrack and George Streets in 1838. I must say, I am left lamenting the fact that William’s son Charles, who was in partnership with his father, was a less than diligent shopkeeper and quite obviously bookkeeping and stock-keeping were not his forte. 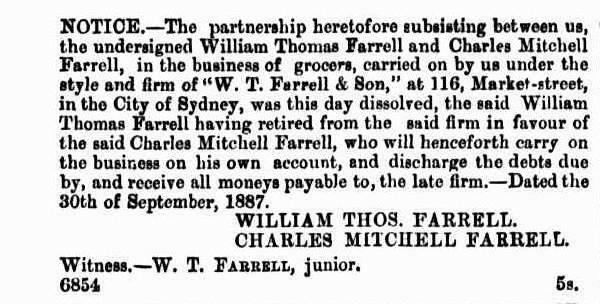 It was sad to see the Farrell grocery business, which had been built up by the William Thomas Farrell, being totally let go as a result of bankruptcy by the son Charles Mitchell Farrell. Possibly William wasn’t prepared to put good money after bad to help his son Charles through his business difficulties. It must be noted that there was a depression in Australia during the 1890’s and it is probable, like many other businesses, that even grocery businesses suffered at this time. It may well have been that timing was the problem and perhaps an oversupply of grocers in the area. It wasn’t until the 1920’s that David Jones moved their flag ship stores from George Street to Elizabeth, Market and Castlereagh Streets. As can be seen from the previous pages, William Thomas Farrell and his family was living above their grocery shop in Market Street. As can be seen from above William Thomas Farrell was involving himself quickly in his community and would have made friends with the local business leaders and families in the area. 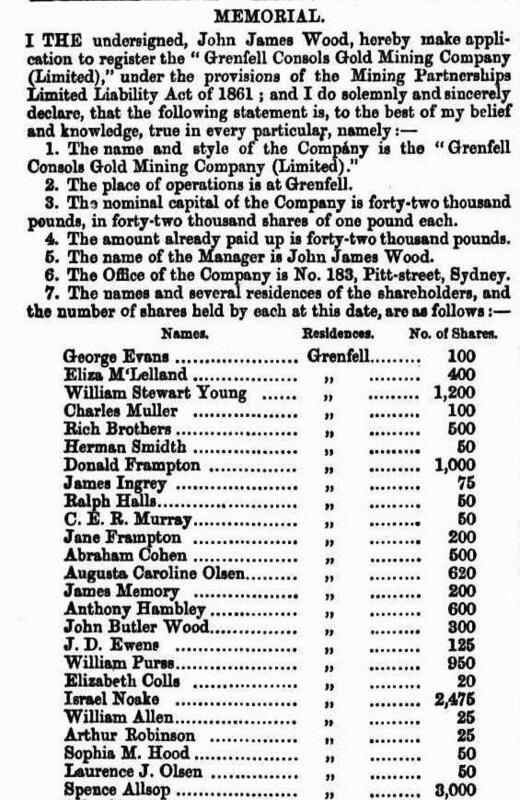 It can be seen that directly above William’s name appears Edward (Lloyd) Jones, the son of the founder of David Jones, amongst other prominent names on this list. 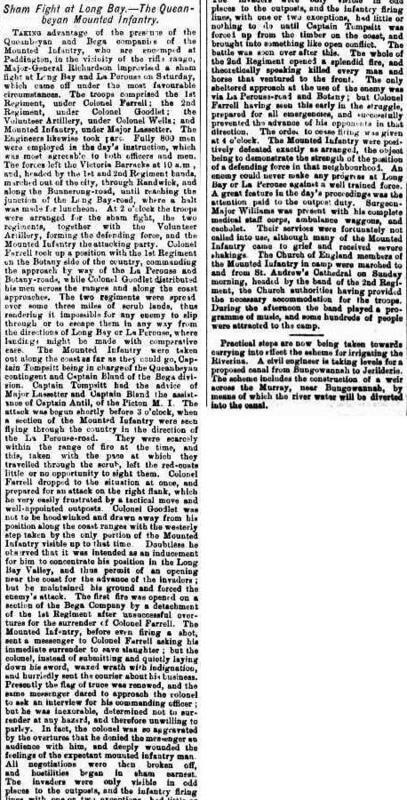 This newspaper article is the first time I found reference to William Thomas Farrell being involved in the Volunteer Rifles and it would seem it was a group formed in his own area of Central Sydney, No 3 Company. 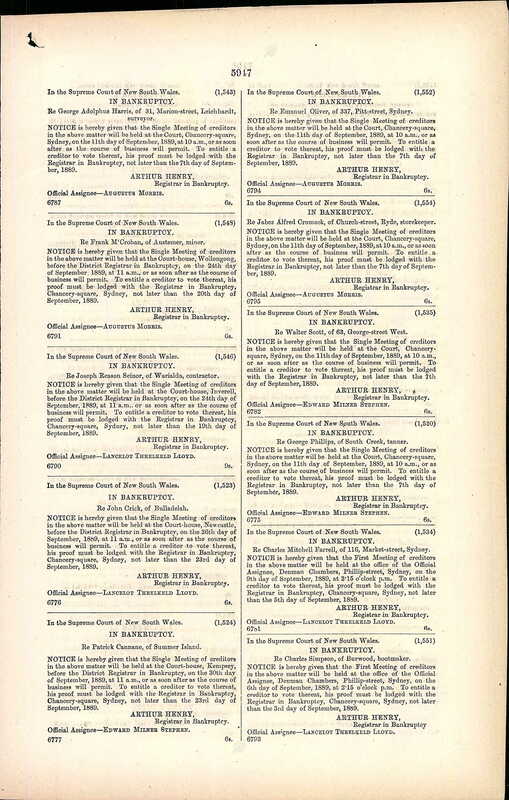 What caught my eye on this page of the Empire was the interesting reference to a meteoric phenomenon in the sky during the evening of 12 July 1861. This is not the first time I have seen such observations. 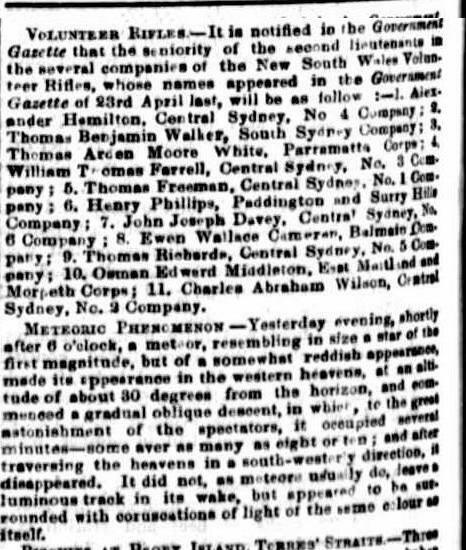 Indeed, while writing up another family chapter, George Faughtley Wright of The Somersetshire, I found a similar article on the same page as George’s death notice in the Sydney Morning Herald, about the Southern Aurora lighting up a brilliant night sky over Sydney. George was Cissie Stewart’s maternal great grandfather. 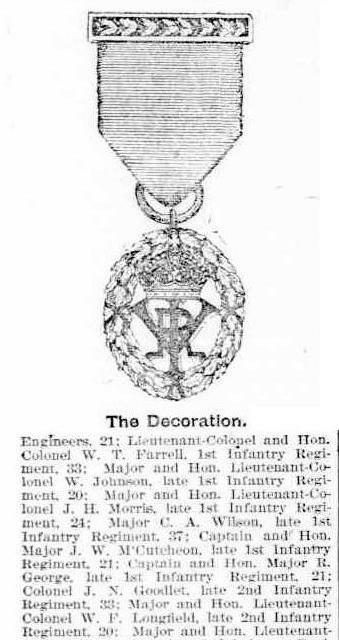 William Farrell continued his interest in politics all his life, however his greatest passion was his involvement with the Volunteer Artillary of New South Wales Regiment, and he participated in these forces most enthusiastically. 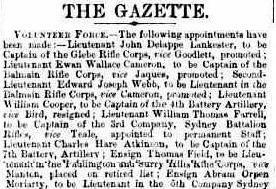 This newspaper clipping below shows his promotion to Captain of the 3rd Company. Grenfells and Ruby Creek are interesting because it shows that William Farrell was investing in other areas, and with Ruby Creek, what better place to invest for a grocer, than in tin mines, because the latest brands of preserved foods were all contained in tin cans, plus it fed the military. I think that Farrell was making shrewd investments, which possibly gained him very valuable assets and profit. It was impressive that William Farrell held the position of Auditor; this meant he must have had some sort of qualification as well as experience. 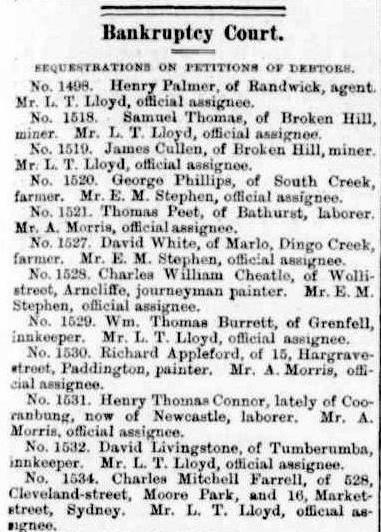 Sands Street Directory 1865, William T Farrell, Grocer, Cnr. Market & Castlereagh Streets, Sydney. 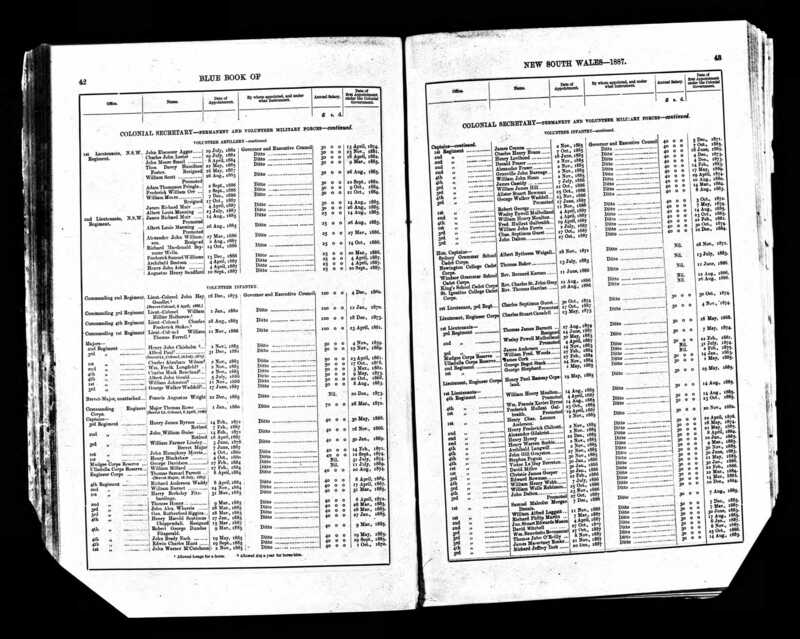 From this directory, the shop’s location can be correctly identified. 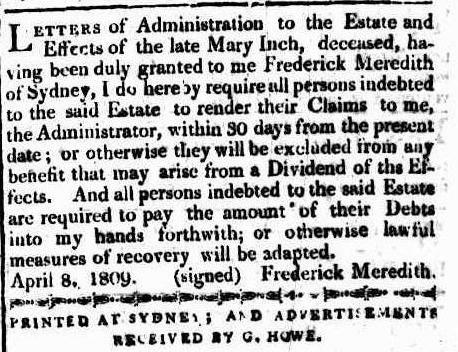 Probated will of William Thomas Farrell of Darley Road, Randwick. Built c. 1906 in spacious grounds, now subdivided, for William Thomas Farrell. Castellated towers distinguished this large two storey house which is situated on part of 78 hectares, originally subdivided under the Centenary Park Lands Act of 1905. Colonel W.T. Farrell (1831? – 1906), married to Frances Farrell (1838 – 1921). Father of Charles, William, Fanny, Charlotte and Louise. 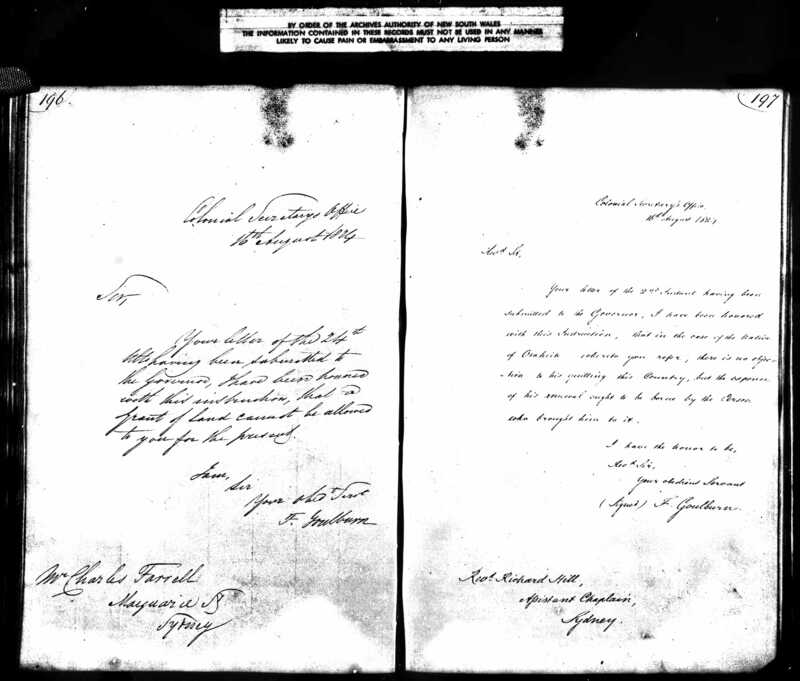 Farrell was commissioned as Second Lieutenant No. 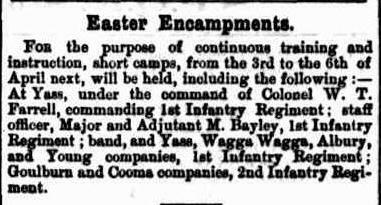 3 Company Sydney Battalion Volunteer Rifles in 1861 and retired in 1898 as Commanding Officer of the First Infantry Regiment with the rank of Honorary Colonel. It is believed that the Colonel had soldiers under his command parade in front of “Swan Isle” while he took the salute on the upper balcony in full military dress of red and gold braid. During the 1920s and possibly the 1930s, “Swan Isle” was used by St Judes Anglican Church, Randwick for monthly services. Following the death of their parents, the daughters continued to reside at “Swan Isle”, in much reduced circumstances, until 1945. 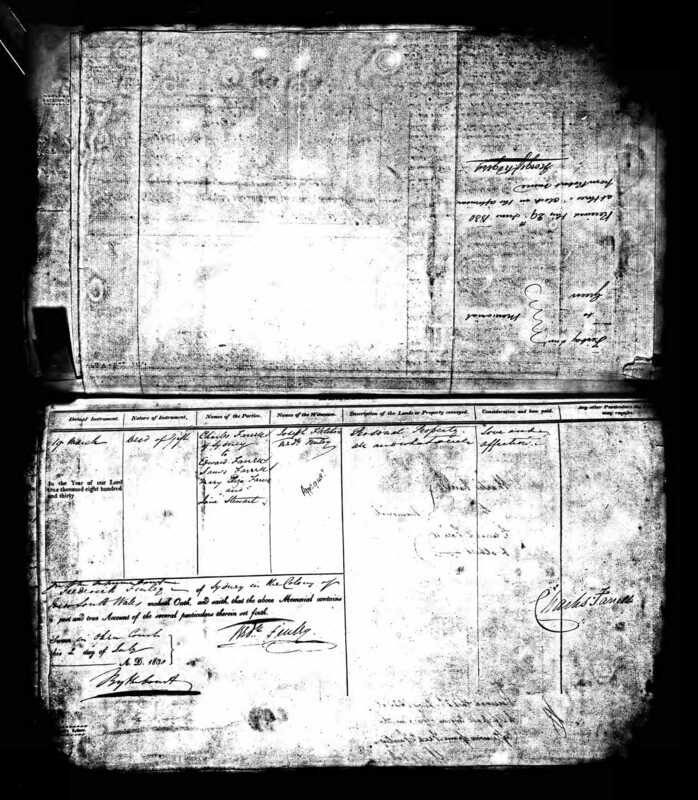 I collected two important records for William Farrell in my quest to take William back to his correct family in Ireland. 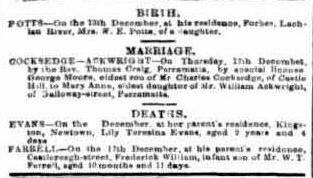 William Thomas Farrell’s marriage announcement in 1858 recorded that his father was the late Mr. Charles Farrell of Port Macquarie, and so I was confident that I was accepting the correct records from Australian Births, Deaths and Marriage Records. 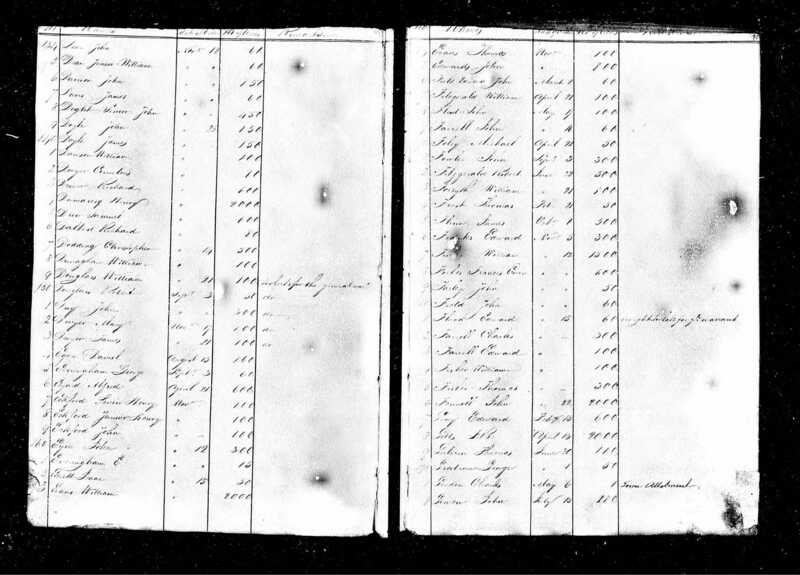 At this point I was overwhelmed on ancestry.com by how many other trees were collecting the same records, and putting up a tremendous amount of information about Charles and Charlotte Farrell. 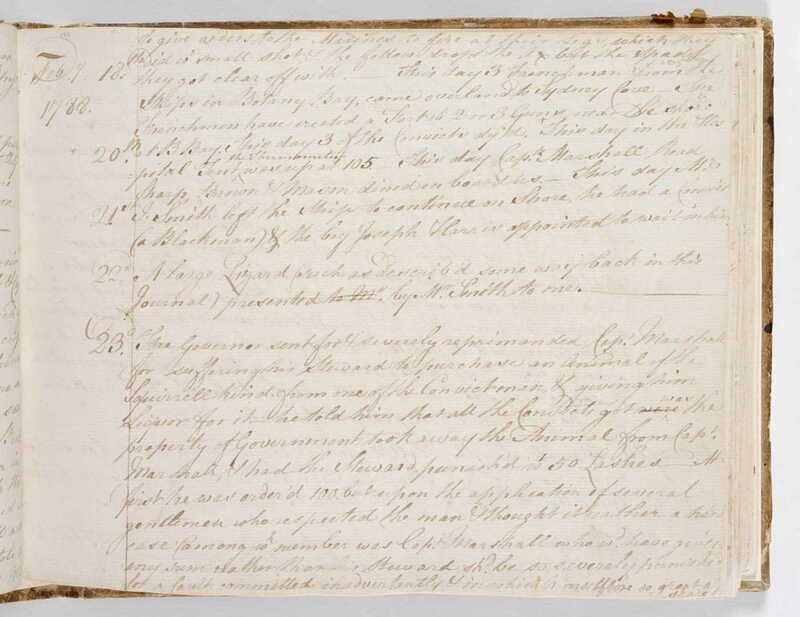 Incredibly it would seem that Charlotte’s father Frederick Meredith had arrived on the First Fleet, as Steward to John Marshall, the Captain of the Scarborough, which had arrived at Sydney Cove on 26 January 1788. Frederick had many personas, listing himself vicariously as a farmer, sailor and baker. 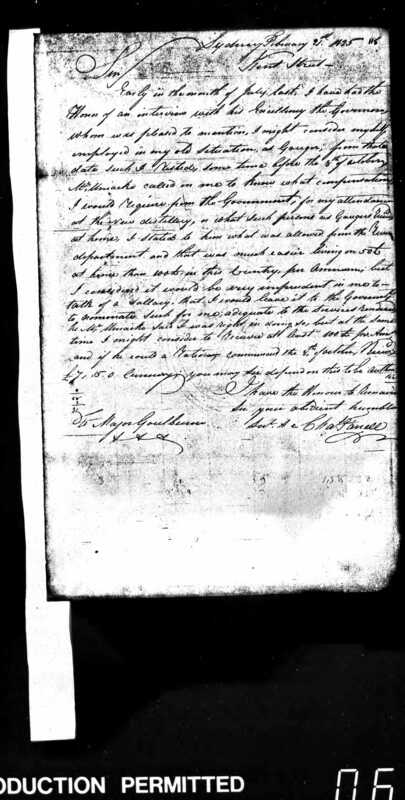 Frederick never married Charlotte’s mother, Mary Kirk, however he took responsibility for her, and most importantly he was listed as her father on her baptism. After Mary Kirk’s death from drowning in 1809, when Charlotte was fifteen, he took responsibility for her livelihood. Charlotte married William Stewart in about 1813 and had three children from their marriage, Jane, Robert and John. William Stewart was a widower and I believe that Charlotte may have helped William Stewart in his household as a housekeeper. After the tragic death of William’s wife Ann Stewart nee Brownlow, who died in about 1808 leaving William Stewart with two children, Samuel and William Stewart, a relationship between William Stewart and Charlotte Meredith developed. William Stewart then married Charlotte Kirk/Meredith. 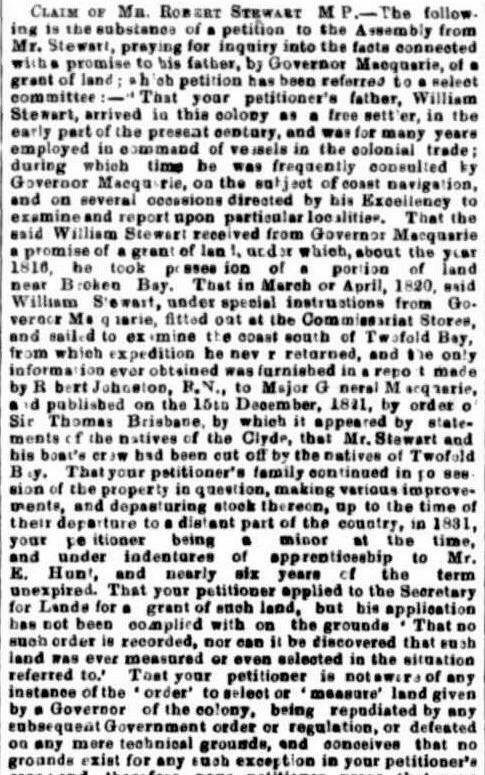 William Stewart was a mariner and was employed by the Governor to undertake special duties to map the bays and estuaries of the Colony of New South Wales. Whilst on one of these expeditions to Twofold Bay he was tragically speared and murdered by aboriginals in 1820. The tragedy was compounded by the fact that one of his sons William Stewart Jnr, who was aboard the expedition, was also murdered. 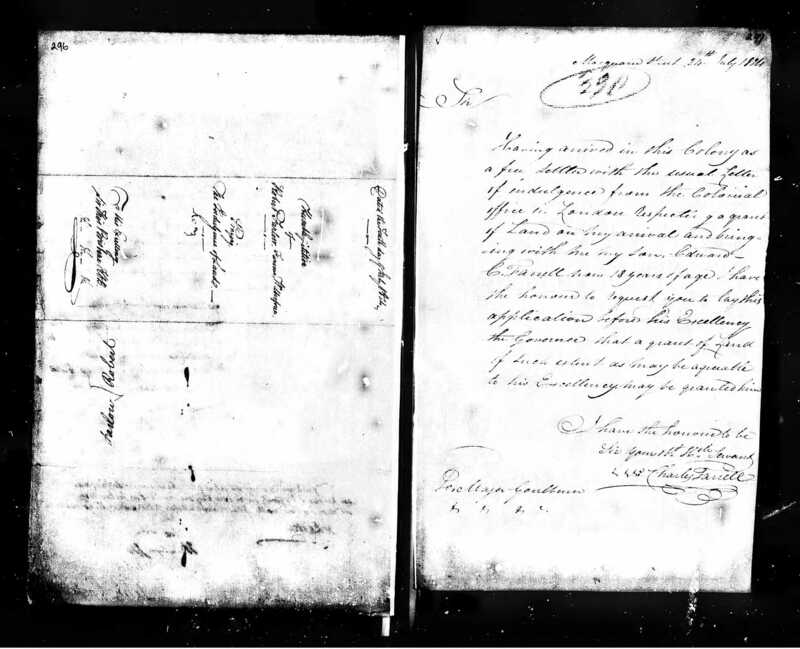 Many years later Charlotte and William Stewart’s son Robert, who had become a very well known and respected early Colonist made a bid for his father’s promised land grant. This land grant sadly had never come to fruition, owing to William Stewart’s murder, and possibly Charlotte’s remarriage, and the fact that the land was not claimed at the time of his death for his children. 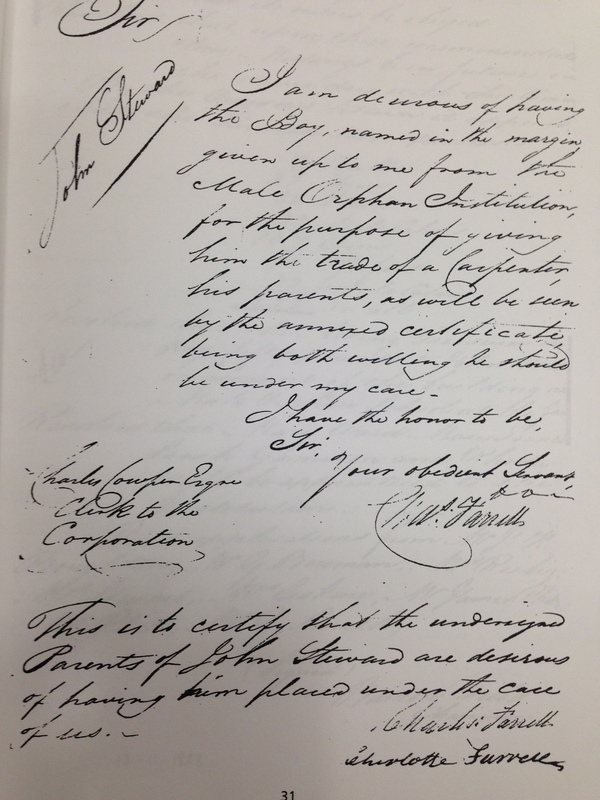 It was indeed a sorry oversight for William Stewart’s descendants that he was denied by the courts the land that had been promised to his father. Poor Charlotte Stewart was widowed in 1820, at the young age of twenty-six, with three young children and a stepson to care for. It was so disturbing to find that one of her children, John Stewart, had been placed in an orphanage just after his father’s death. 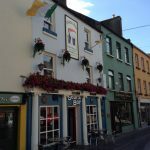 Things must have been very tough for Charlotte, however she was resilient, and must have had strong survival instincts both for herself and her young children, and so it was almost fateful that she met and a year later married the newly arrived, and recently widowed Charles Farrell, of Mullingar, Ireland in 1824. 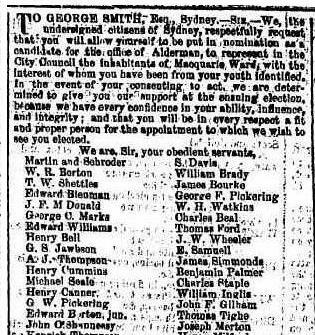 Most of the ship’s Mates, Stewards, Officers and members of the Regiment changed ships during and after the First Fleet voyage, I believe Frederick Meredith started on The Surrey but arrived in Port Jackson on board The Scarborough. In July 1788 Frederick was transferred to the Sirius, possibly going to Norfolk Island to find provisions for the Penal Colony. The Sirius was smashed into rocks at Norfolk Island, which was a terrible blow to Captain Philip as the Colony came perilously close to failure from starvation. 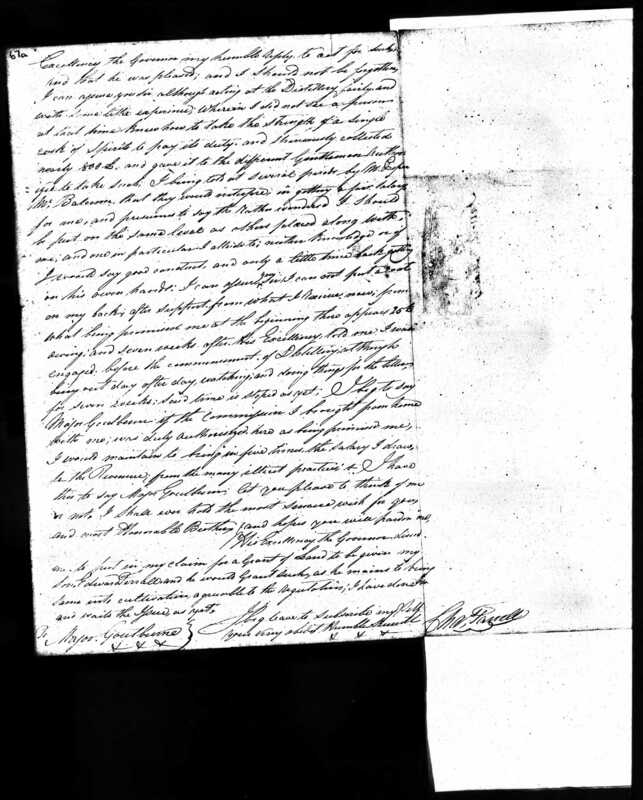 Elaine Coldham kindly provided me with this document and the following three-page letter on the next few pages, dated 16 April 1809. 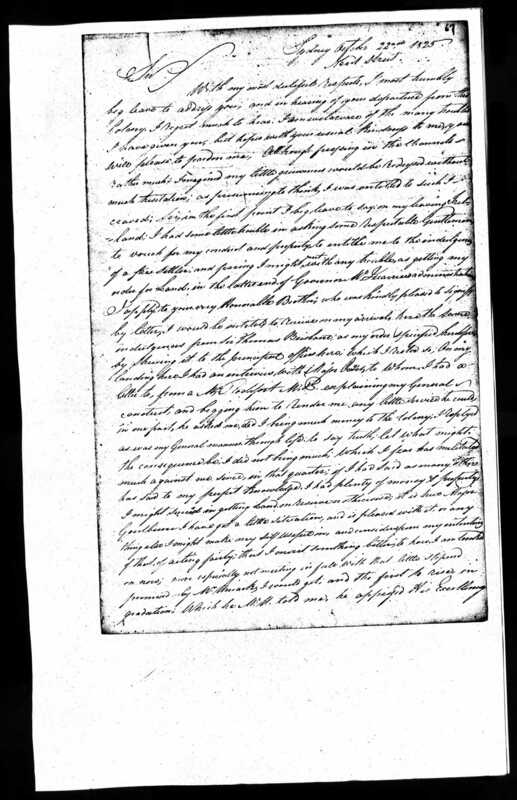 It is wonderful to have this document about Charlotte’s mother Mary Kirk’s marriage and will documents. The story of Mary’s life was tinged with tragedy, apart from eight happy years of marriage with Robert Inch. Mary Kirk came from Yorkshire, and was convicted at the Yorkshire Assizes for seven years transportation to the Penal Colony of New South Wales, and arrived aboard The Royal Admiral on 7 October 1792. 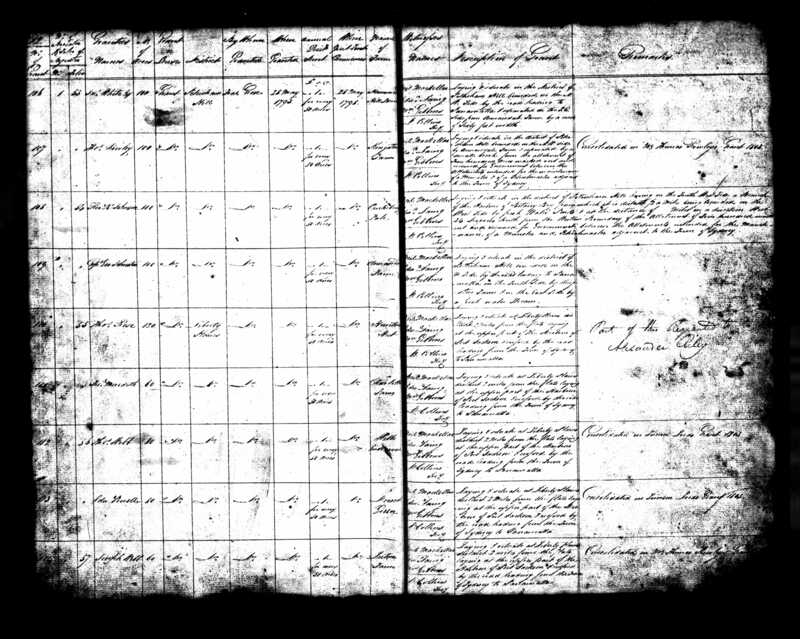 Charlotte Meredith her only child, was born in 1794 and although we have no personal knowledge about the relationship between Mary Kirk and Frederick Meredith, it seemed cordial and responsible, judging by the documents that give Charlotte’s full recognition by her parents. After Mary’s death Frederick was solely responsible for Charlotte and the disposal of her mother’s house and contents, presumably to give Charlotte some money for education and benefit. 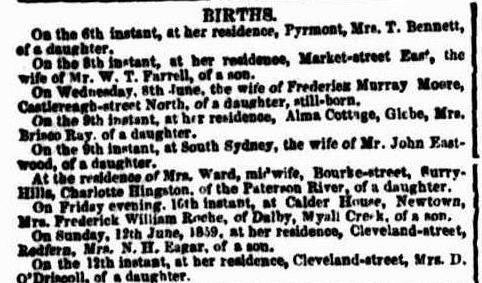 From all accounts I have read that Robert Inch and Mary Kirk, and their daughter Charlotte Meredith lived a most happy life in the Rocks. Robert had a large sandstone house in the Rocks overlooking Sydney Cove, and the garden wall at the rear of the house backed onto Old Sydney’s General Hospital. However Mary Kirk’s happily married life was not to last for long. Robert Inch was a flour miller at Miller’s Point and supplied the Colony with the much-needed flour to the bakeries nearby in the Rocks area of Sydney. 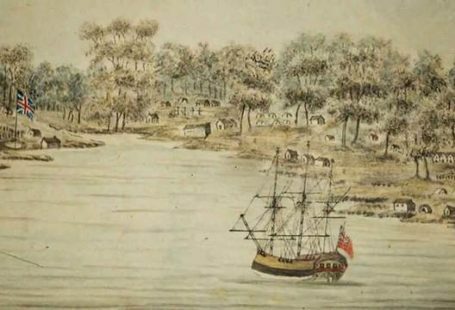 Robert Inch had regular journeys with his small sloop, The Charlotte, to Broken Bay and the Hawkesbury River to pick up the wheat for milling near Sydney Cove. 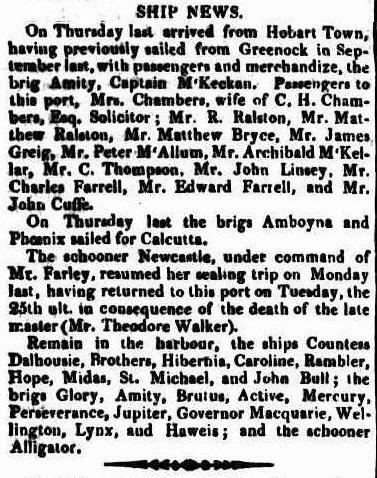 On one such journey on 27 September 1808 Robert’s ship laden with 500 bushels of grain, went down five miles off the entrance to Sydney Heads with all lives lost. 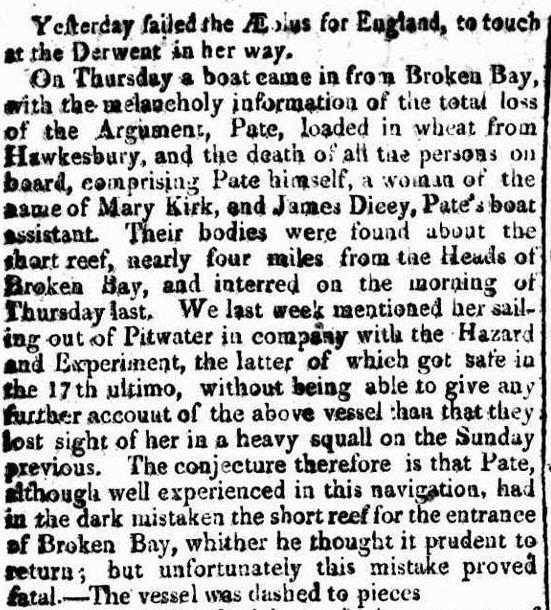 In what can only be described as the most dreadful luck, some six months later, Mary Inch, nee Kirk was aboard The Argument bringing grain back to the mills near Sydney Cove when it too floundered off Broken Bay and Mary was drowned. It was lucky for Charlotte at that time that Frederick Meredith was working nearby in one of the bakeries. 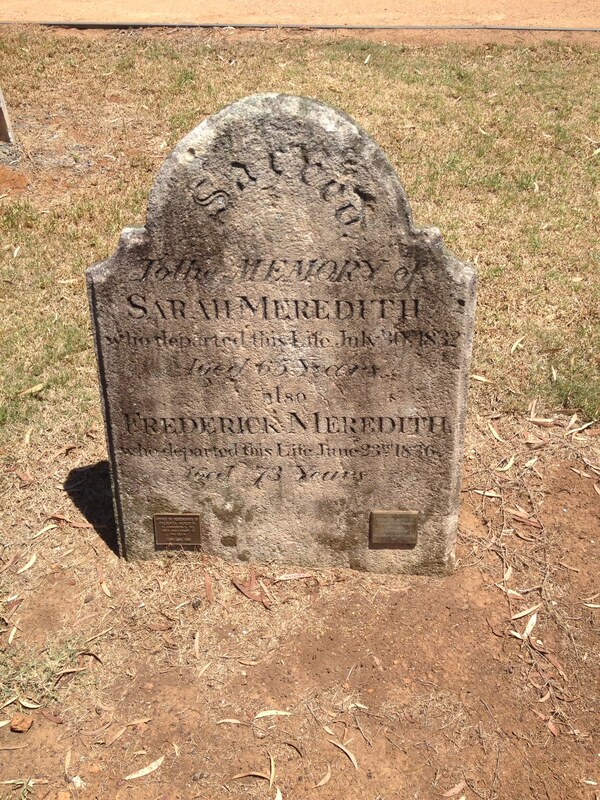 Frederick Meredith’s early life in Sydney was also tinged with tragedy and Charlotte his daughter by Mary Kirk, was not in fact his first child. Frederick took up with Mary Allen during the voyage of the First Fleet, and she was probably assigned to him on arrival. Interestingly, one of the first jobs assigned to Frederick was involving the production crops for the colony. He was sent to Garden Island, purportedly because he claimed he was a farmer back in England. 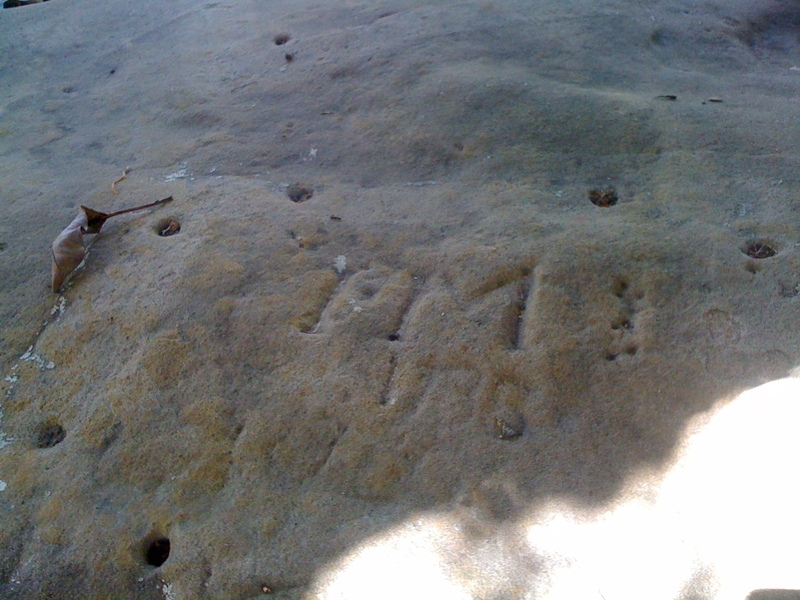 There on Garden Island with two other farmers, during a few idle hours, he scratched his initials into a sandstone boulder, FM 1788. Incredibly these initials survive, and today are protected under glass on the rocky face of Garden Island, not far from the ferry wharf on the western side of the island. 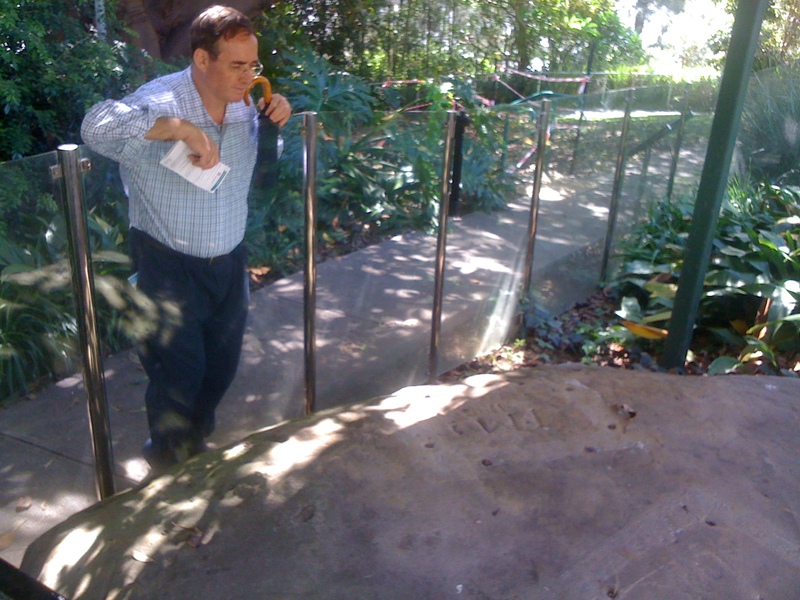 Geoffrey Philip Farrell Rundle, 4th Great Grandson of Frederick Meredith, Garden Island, 14 July 2012. Geoff’s ancestors were Frederick Meredith and Mary Kirk, whose daughter Charlotte Meredith married Charles Farrell. In March 1791 the crew of the wrecked Sirius returned to England via Cape Town with Captain Hunter, aboard the Waakzaamheid, reaching Portsmouth on 22 April 1792, where Meredith was de-commissioned and at about the same time, he learned from another colleague Thomas Webb who had also returned on the Waakzaamheid, that there was an opportunity for him to become one of the first land-holders in the Colony of New South Wales. Thomas Webb and Frederick Meredith gained a land grant with other free settlers, and boarded the Bellona on 8 August 1792 bound for New South Wales. These first free settlers became known as the “Liberty Plains Settlers” and Frederick no doubt was eager to return to his “wife” Mary Allen and small their child Charlotte. Mary Allen had arrived on the First Fleet on the Lady Penhryn and in 1790 she gave birth to Frederick’s first child, who they named Charlotte, after Queen Charlotte of England, King Geoge’s consort. However upon Frederick’s return to the Colony, he discovered tragedy had befallen the couple, with baby Charlotte dying in 1792, while he was away from them in England. Upon Frederick’s return on 16 January 1793, he also discovered that Mary Allen had moved on in her life and taken up with another man. Poor Mary Allen may have wondered what may have happened to Frederick and whether he would in fact ever return, as a woman in the Colony without a man to defend her was in a dangerous position, it turns out her instincts were correct to take care of herself and not wait for Frederick’s return. Fate is an incredible determinator of life’s direction, because, had Frederick not had the responsibility of a child and wife in the colony, he may have remained in England after his decommission. Frederick also moved on quickly, and took up with a Somerset woman whom he had met on the Bellona, named Ann Case. Frederick had an onboard affair with Ann, resulting in baby Amelia Meredith being born in May 1793, a few months after Ann’s arrival in the Colony. Sadly Amelia died in 1794 and the relationship must have come to an end well before Amelia’s death, because, quite clearly Frederick had taken up with Mary Kirk by 1793. As mentioned earlier, Frederick met Mary Kirk a short while after her arrival on the Royal Admiral, in 1792. Their daughter Charlotte, was probably named in honour of his deceased daughter, and for his farm on the Liberty Plains, which he had named Charlotte Farm. The area today we know as Homebush Bay, and unfortunately it was discovered to be rocky and infertile. 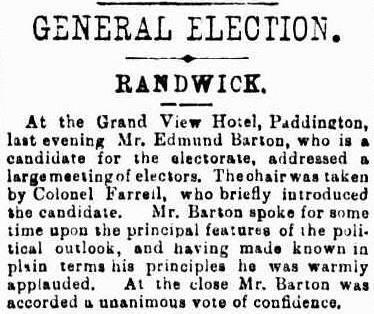 Luckily for Frederick Meredith, the planned Parramatta Road was slated to go right through his property, so in fact it probably became more valuable to him than if it was a farm. Frederick was no farmer, and he was happier around the Rocks area of Sydney, where he ended up working as a baker, with probable visits back and forwards to his farm. 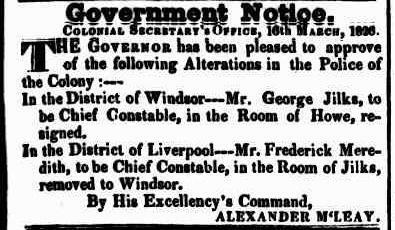 Frederick Meredith was appointed a Police Constable in 1811 and he seemed to enjoy the kudos and responsibility that came with this job. 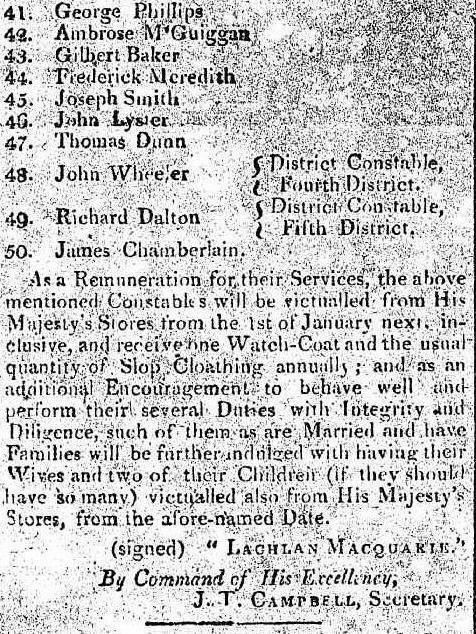 In 1804 as a Member of the Sydney Loyalists he and 37 other members had been embodied and readied for contingencies at the Battle of Vinegar Hill. 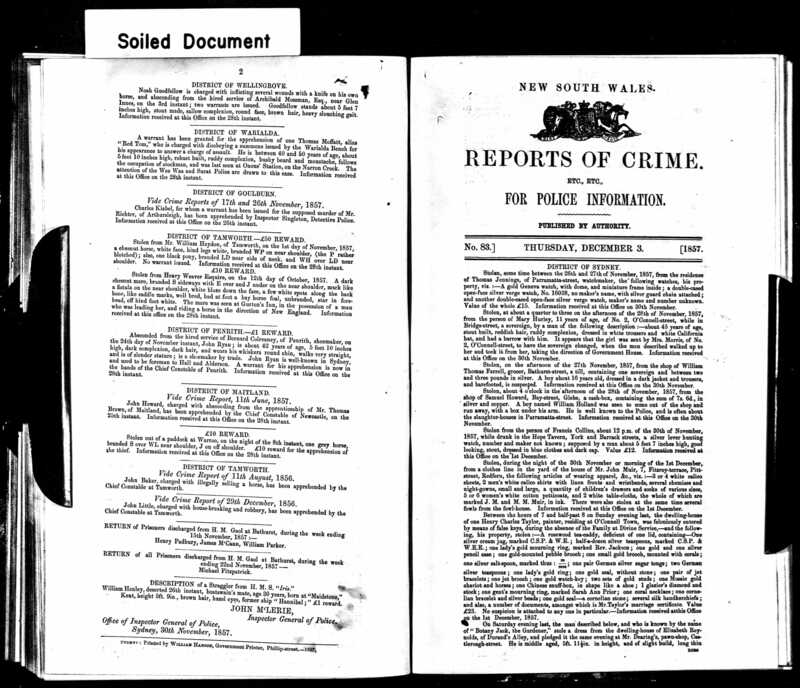 He remained a constable until his death in 1837 and was continually promoted to positions of responsibility, which are well chronicled in NSW Gazettes and newspapers. Frederick left a widow, Mary Ann Day, whom he had married on 19 February 1833 after the death of his first wife Sarah Mason on 30 January 1832. 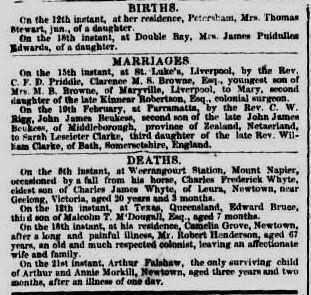 Sarah and Frederick had six children after their marriage in 26 February 1811 at St Phillip’s Church of England, Sydney. Geoff and Elaine are second cousins through their grandmothers, Sylvia and Doris Farrell. Elaine and I met on Ancestry.com where we have both established family trees. It has been such a pleasure to collaborate with Elaine on the Farrell family. 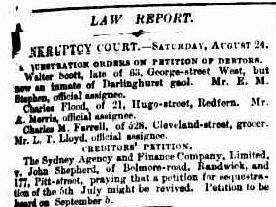 This early newspaper clipping I found after I saw the Convict Muster showing Charles Farrell arrived on the Ardent, and came free to the Colony. It shows that Charles arrived with a son. Apparently during the voyage Charles’ wife, Mary died as well as their son Lawrence Farrell. Presumably this surviving son was Edward, as listed on the muster. 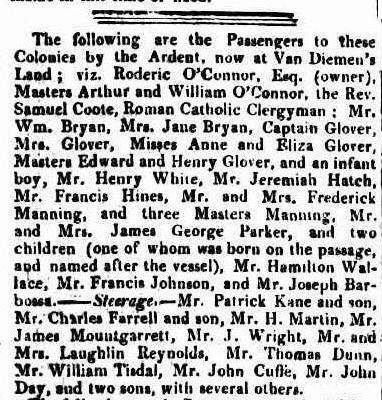 Also on board was Mr John Cuffe, Charles’ brother-in-law and brother to his wife, Mary. 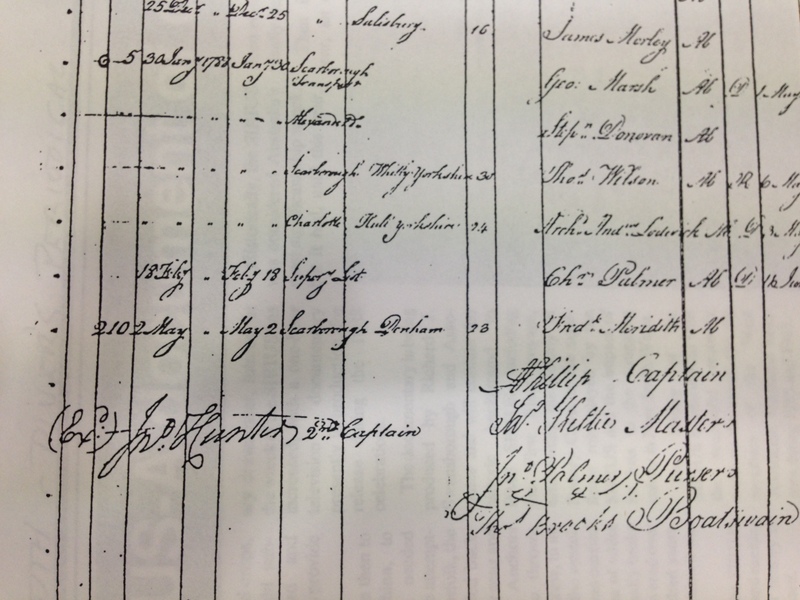 Charlotte Meredith (1794-1851) married William Stewart (-1820) in about 1813? 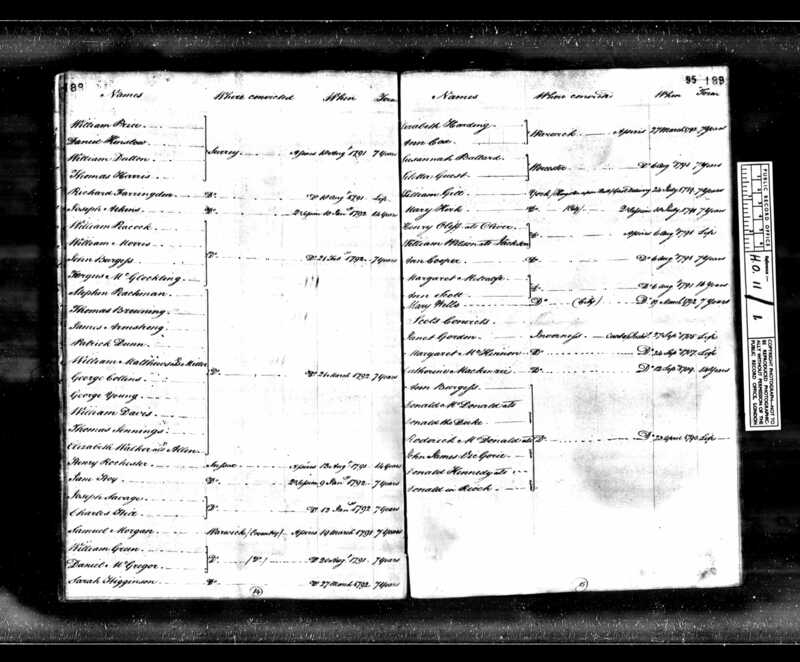 and they had three children, Jane Rebecca Stewart (1814-1888), Robert Stewart (1816-1875) and John Stewart (1818-). 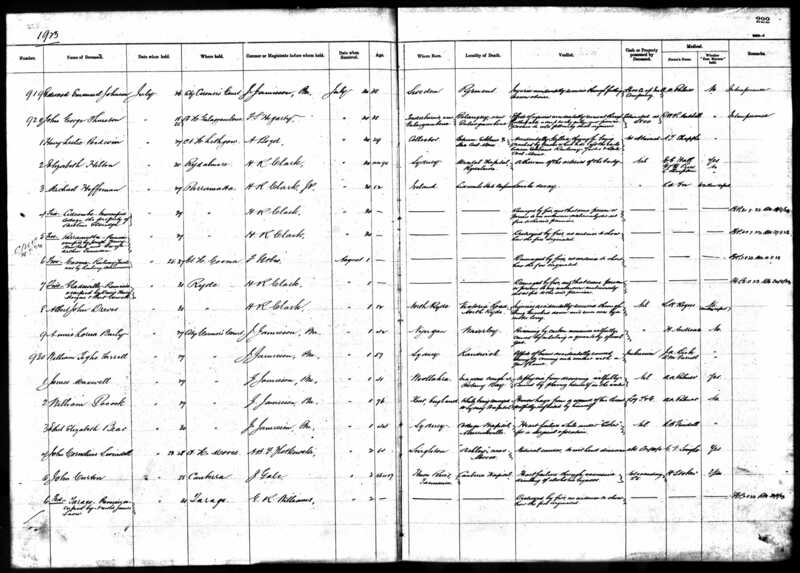 Charlotte Stewart then married Charles Farrell in 1821 and they had five children, James Lawrence Farrell (1825-1877), Mary Elizabeth Farrell (1828-1916), Charlotte Rosina Farrell (1831-1866), Charles Frederick Farrell (1833-1896) and William Thomas Farrell (1835-1906). 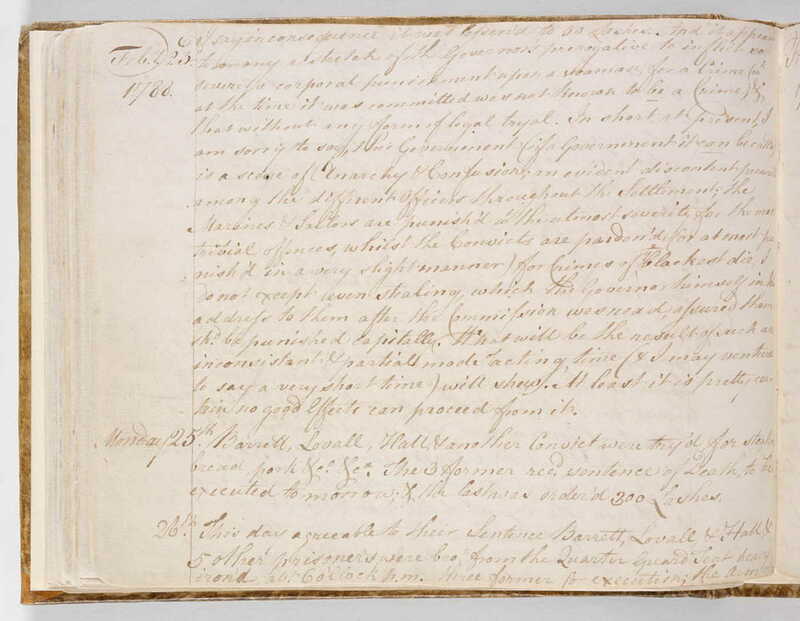 This application letter for the removal of Charlotte’s son John Stewart from The Male Orphans School into the care of herself and her new husband Charles Farrell is so poignant. It must have been terrible for Charlotte to find herself in a position of not being able to care for her son, and the relief, upon her marriage to Charles Farrell who gave her support, both financially and socially, for her to be able to reunite with John, aged just eight years. 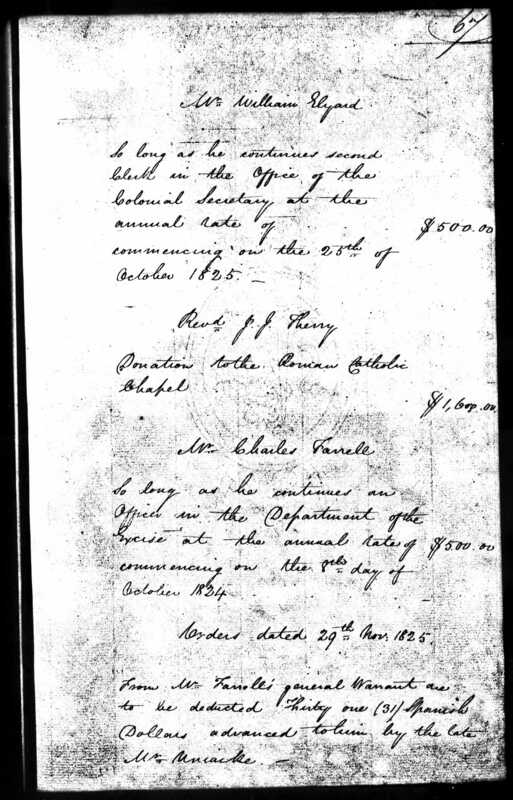 Charles Farrell annual salary is agreed at $500 Spanish Dollars, less $31 Dollars advanced earlier by Mr Uniacke. A Spanish Holy Dollar today is worth thousands! 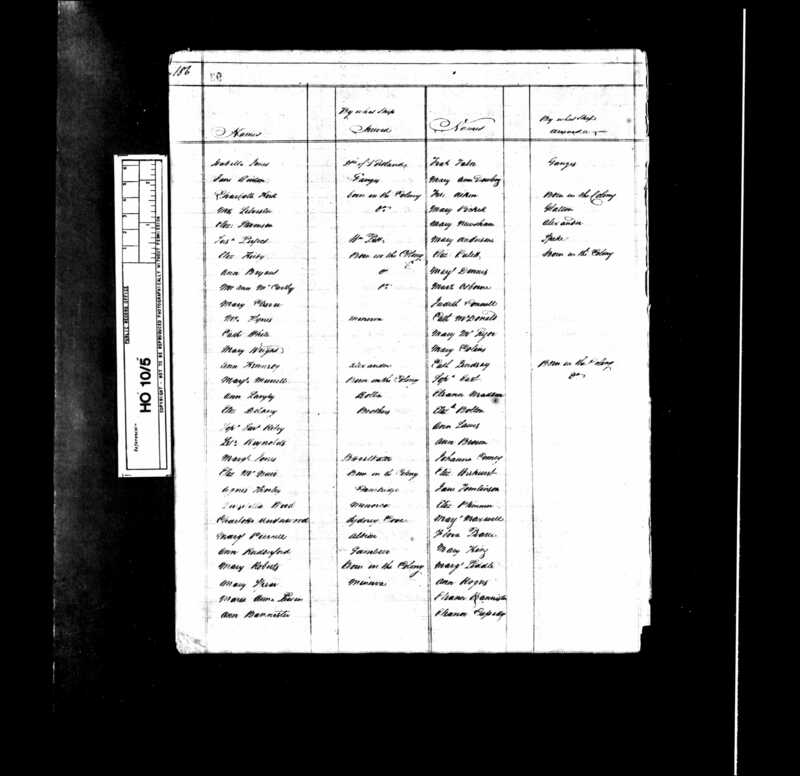 This document is most interesting, listed are Charles Farrell, aged 40 and his son Edward, aged 20, then there is Charlotte Farrell and son James Lawrence Farrell. 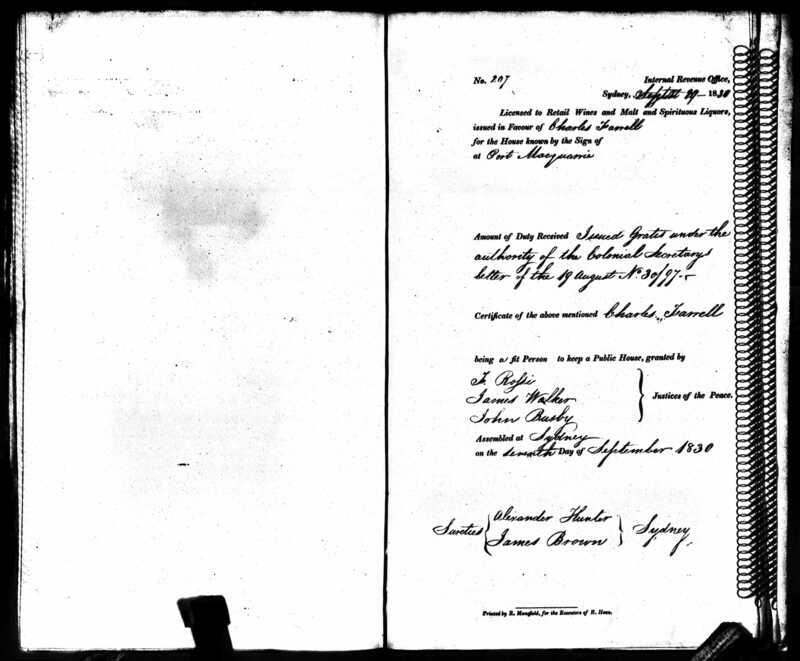 James Lawrence Farrell is clearly the son of Charles and Charlotte and James’ middle name is Lawrence, in memory of his half brother Lawrence who died on the voyage of the Ardent travelling with his parent Charles and Mary Farrell. 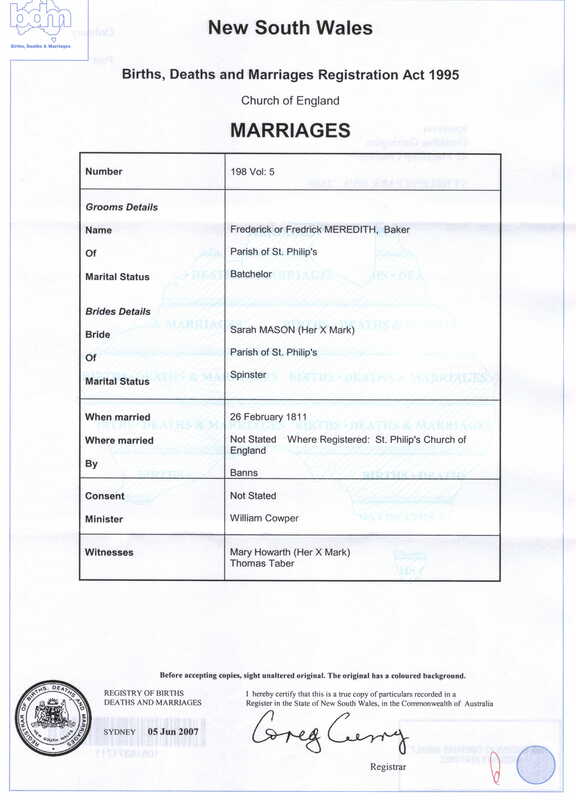 The other important information from this document is the fact that Charles lists his religion as Catholic and Charlotte lists hers as Protestant. This is one of the most delightful records I have collected for the Farrell Family. Here is Charles Farrell giving a Deed of Land to his children Edward (by his first wife Mary Cuffe), James and Mary Farrell (by Charlotte Meredith) and Jane Stewart (step daughter, the daughter of Charlotte’s first marriage to William Stewart) which he claimed was paid for with love and affection. I think this record goes a long way to show what a kind family man Charles Farrell was. Charles Farrell made the important decision to move the Farrell family to Port Macquarie and to set up a hotel for travellers, which he named The Settler’s Arms. After his land grant approval for land near Port Macquarie, Charles decided that rather than be a farmer, he would become a publican. 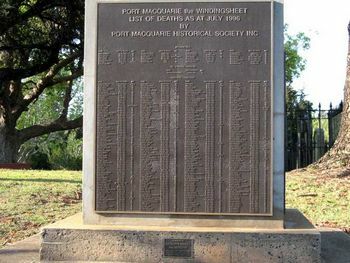 Port Macquarie Historical Society erected this monument to the early settlers of Port Macquarie, some the Farrell family are listed. Photograph courtesy of Marie Brown. In my next chapter I conclude the Farrell by story taking Charles Farrell back to Mullingar and Athlone, to his birthplace in Westmeath. 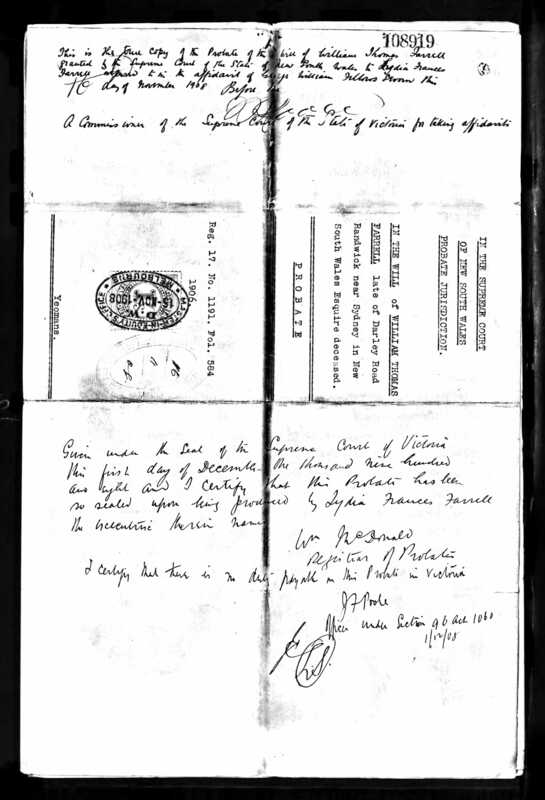 This is a story that takes Charles Farrell from a linen inspector on the Shannon River, at Athlone, to the city of Dublin, where Charles, in fear of his life after being branded a spy, pleads to the British Government for safe passage for himself and his family to migrate to Sydney, Australia. Geoff and I travelled to Ireland in 2016 to visit Westmeath and took photos of some of the places where Charles Farrell lived and whilst in Dublin we obtained the plea documents from the Irish Archives.